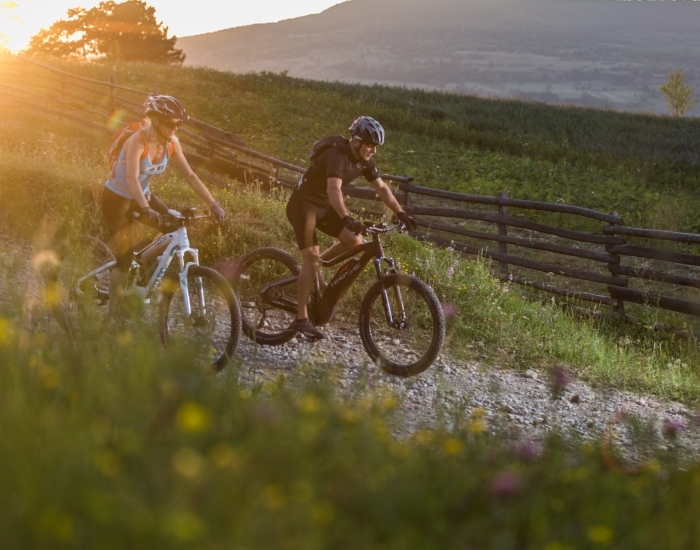 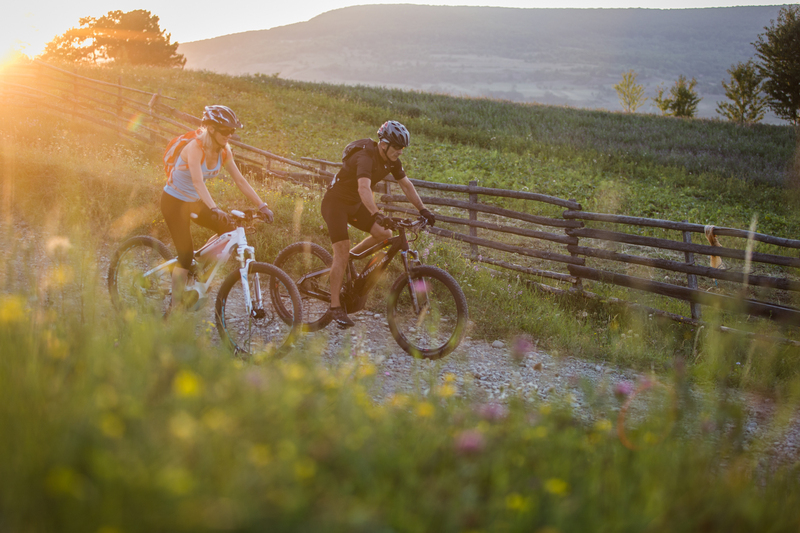 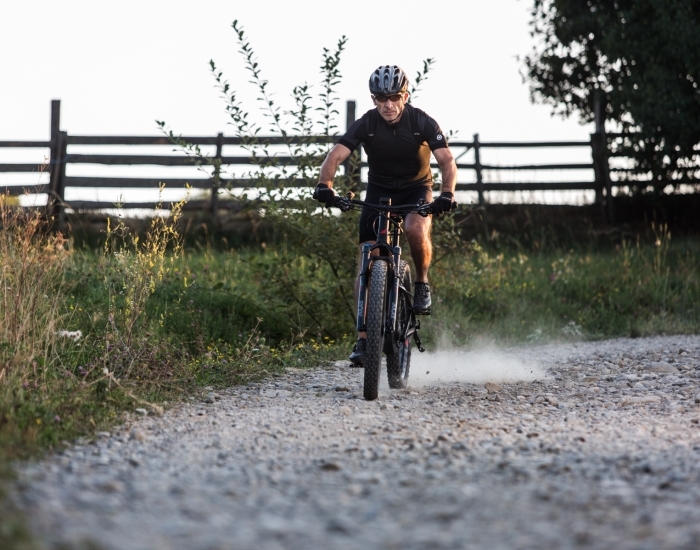 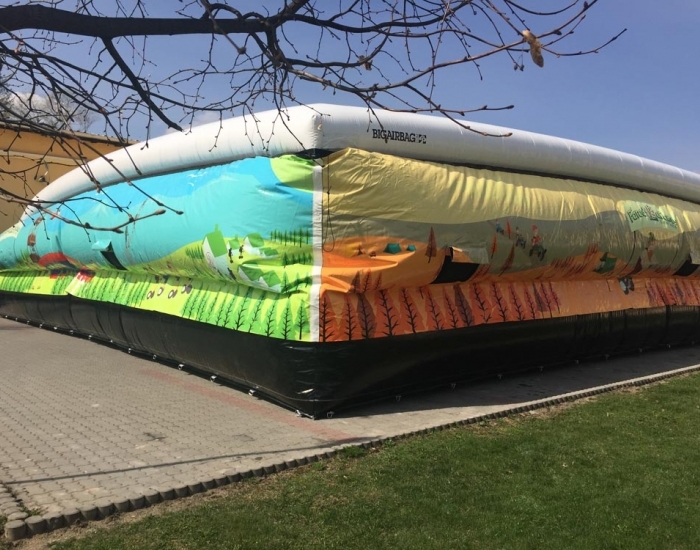 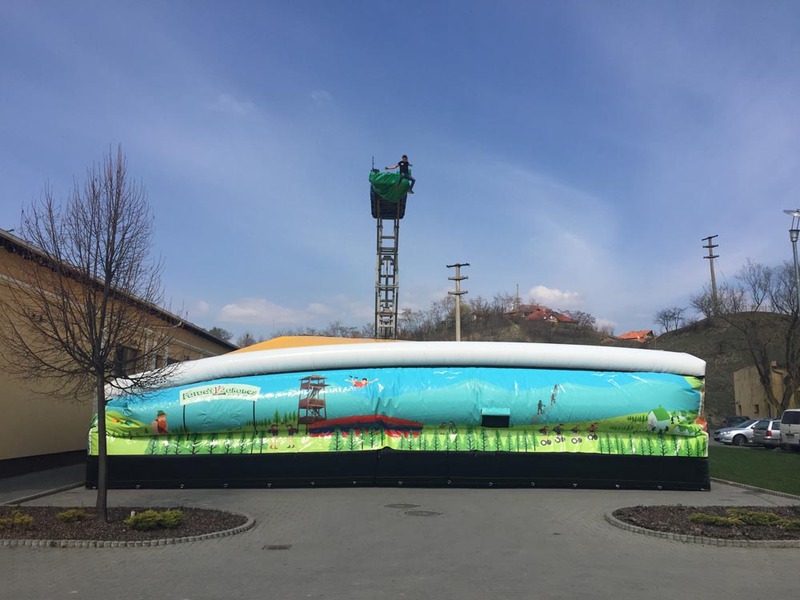 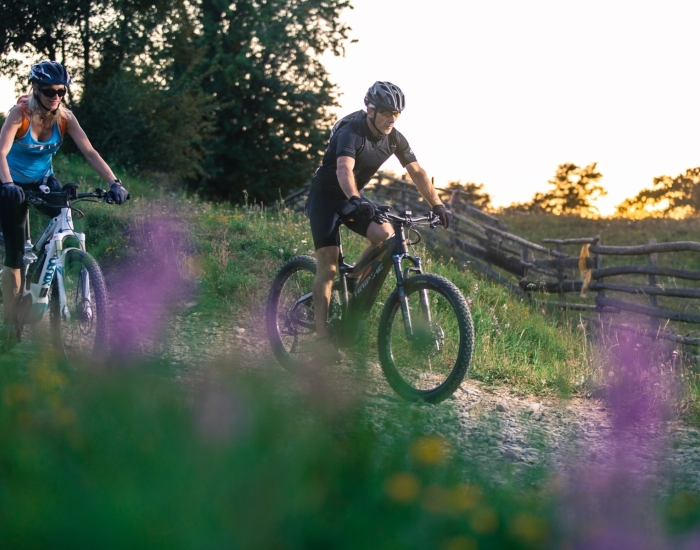 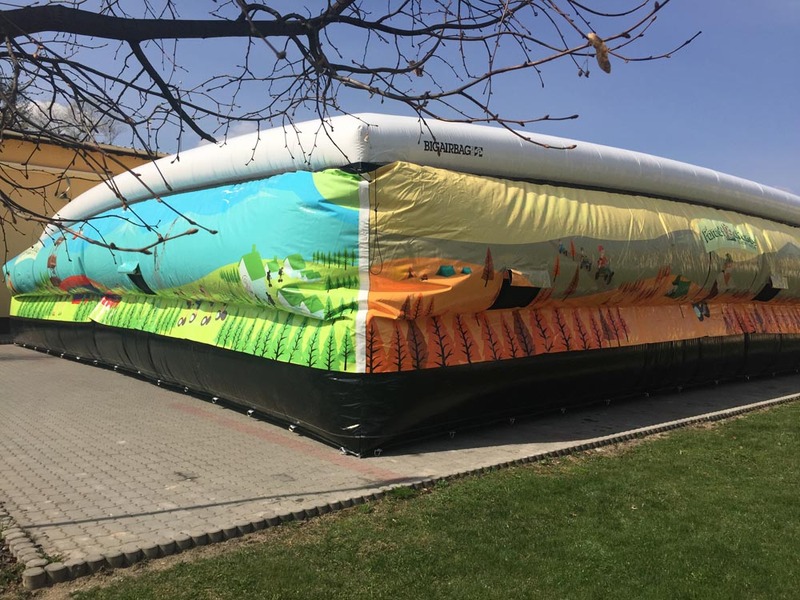 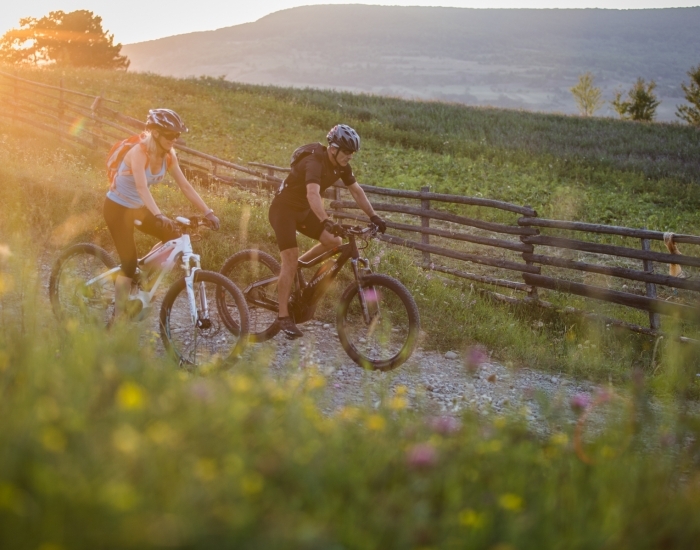 Our newly created park is the ideal destination for those who yearn after adventure and recreation in Izvoare at the foot of the Harghita Mădăraș mountains. 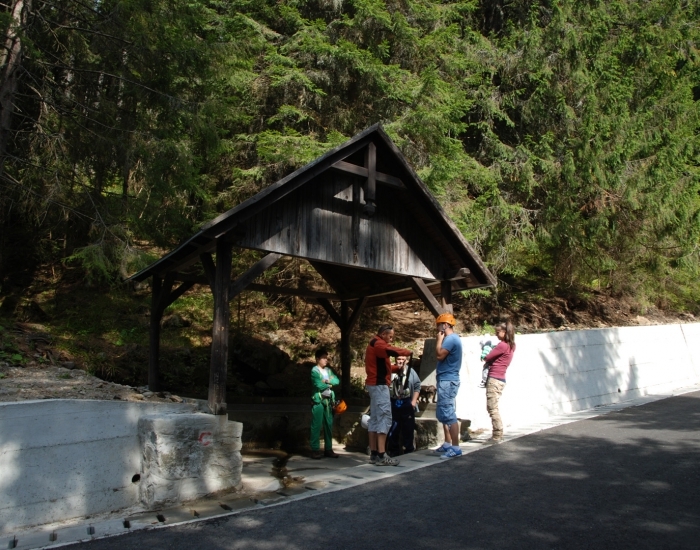 You can also find the „Öreg Szivacs” restaurant and trout pond in our park. 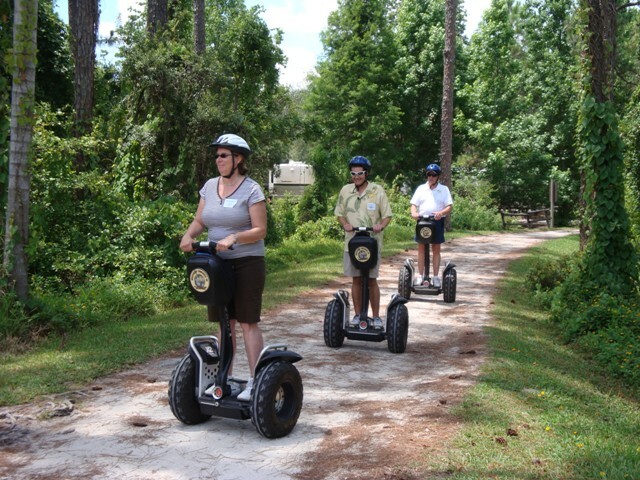 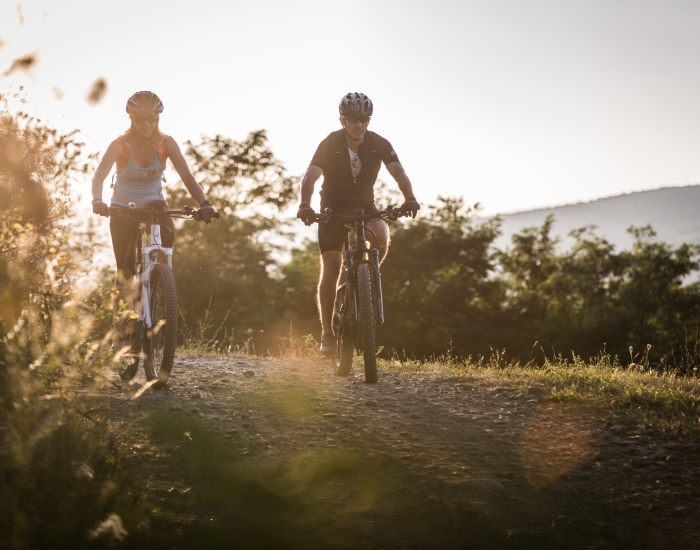 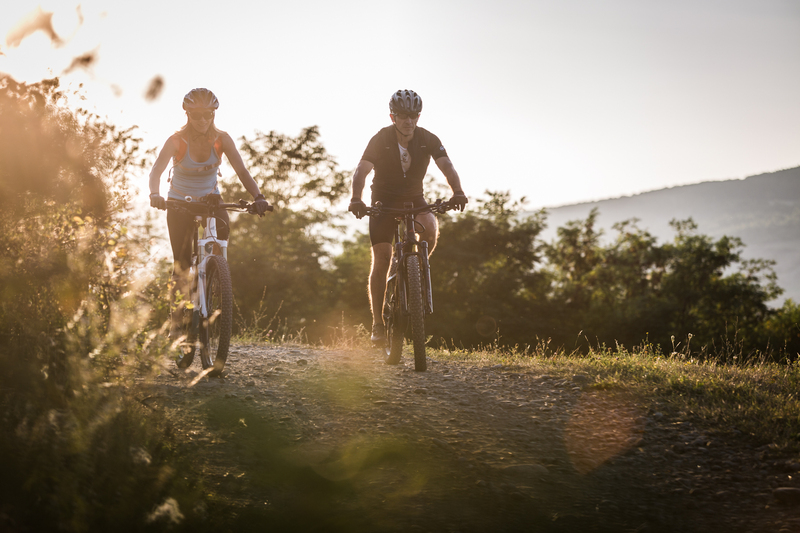 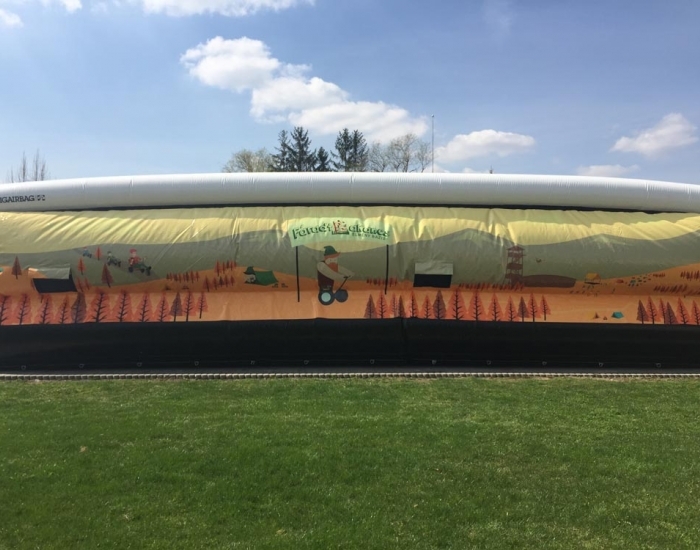 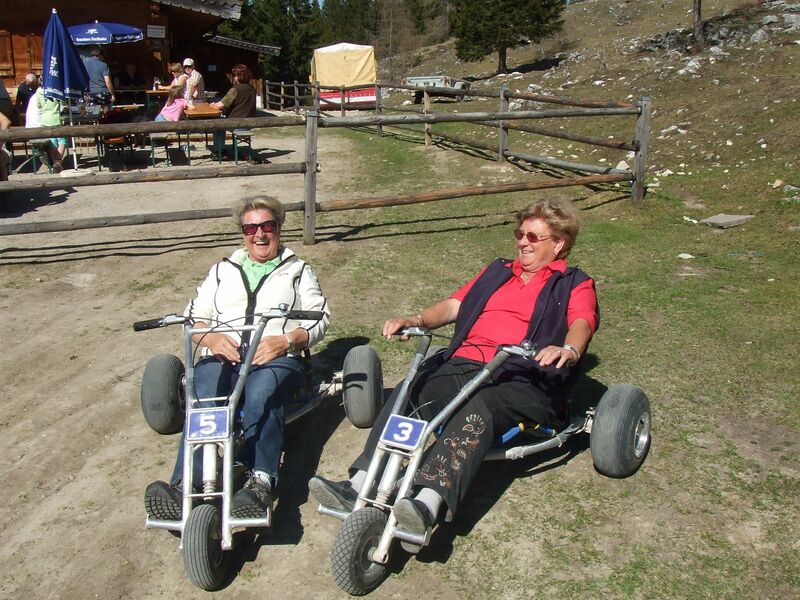 We offer perfect recreation for all ages in the heart of the valley. 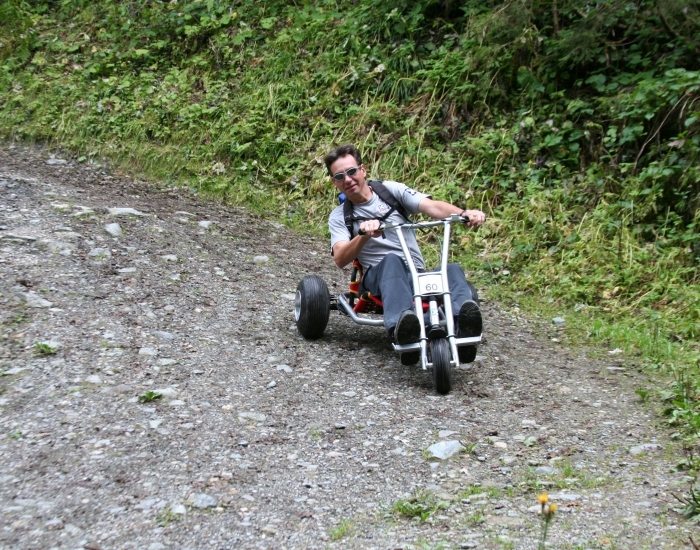 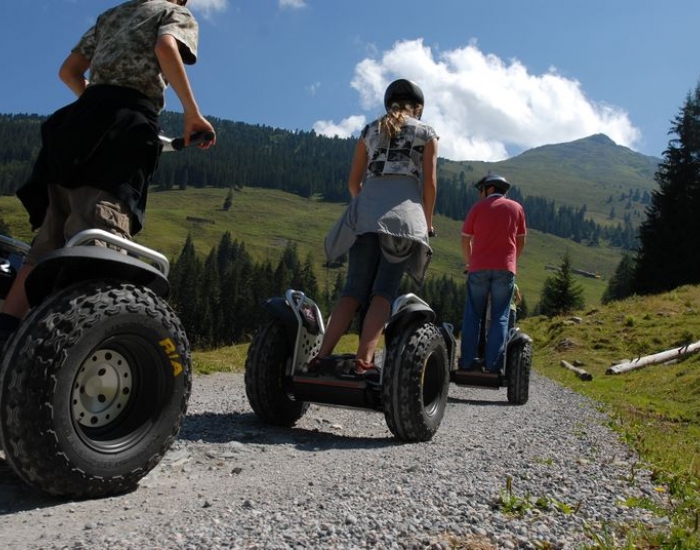 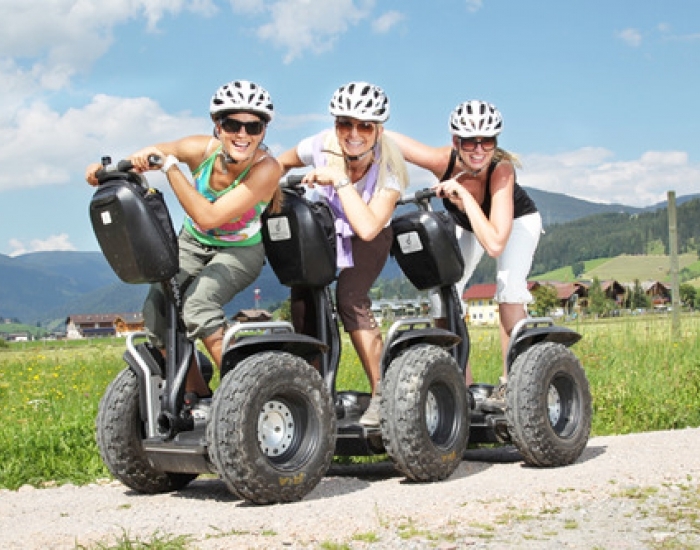 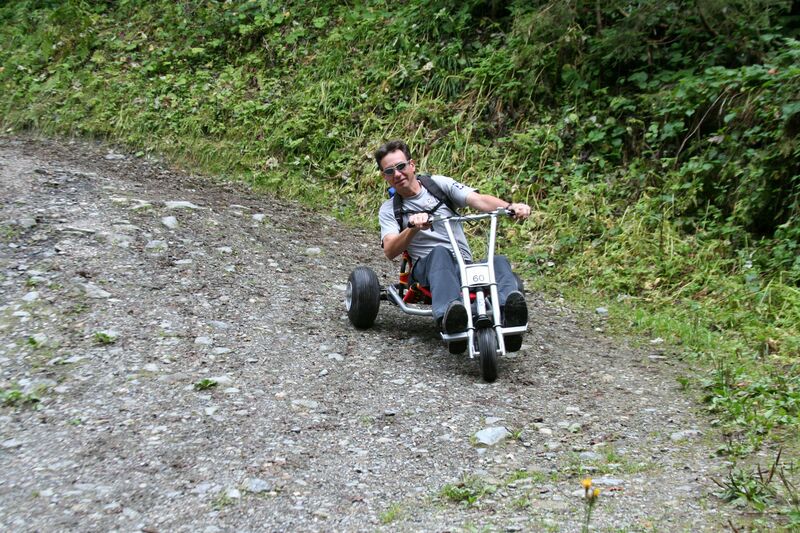 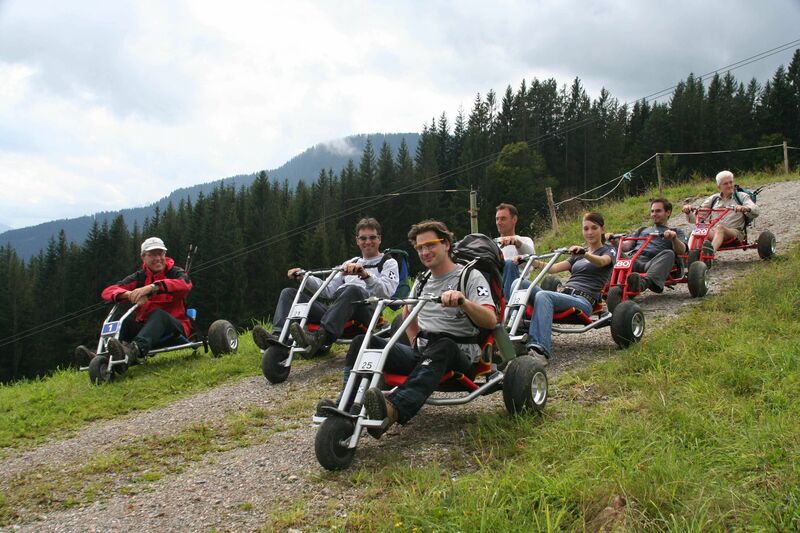 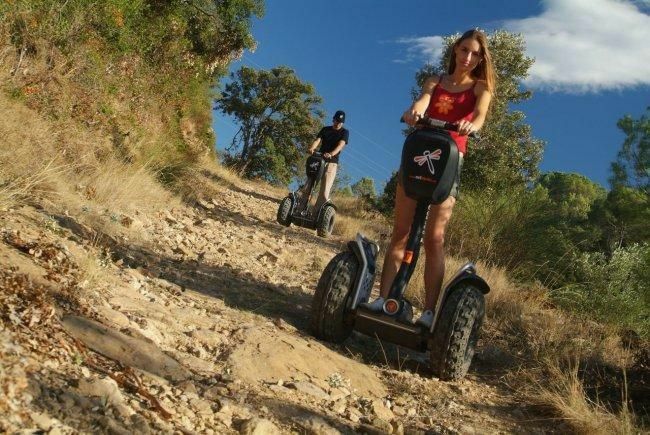 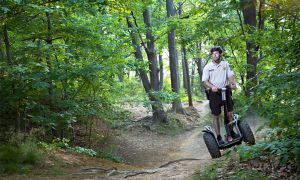 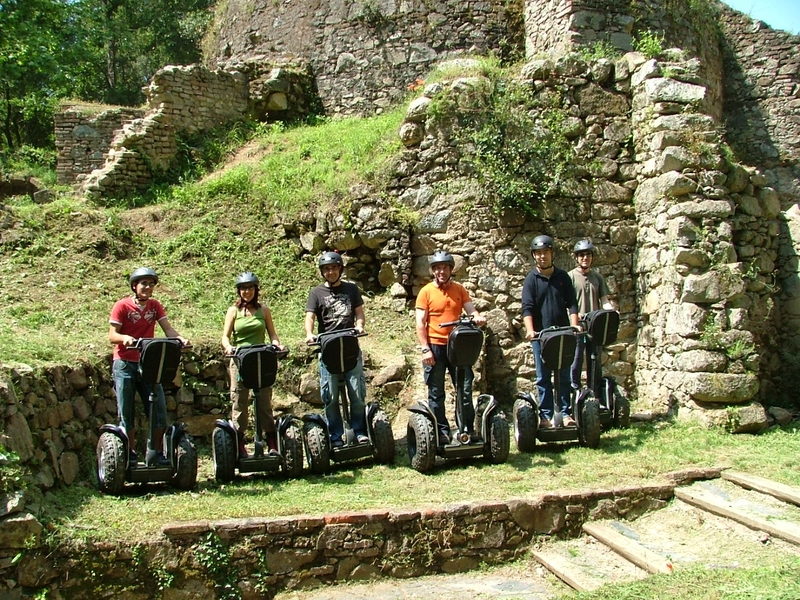 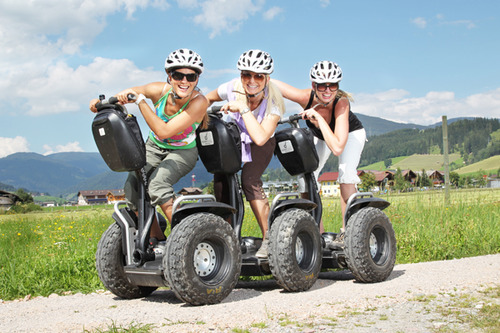 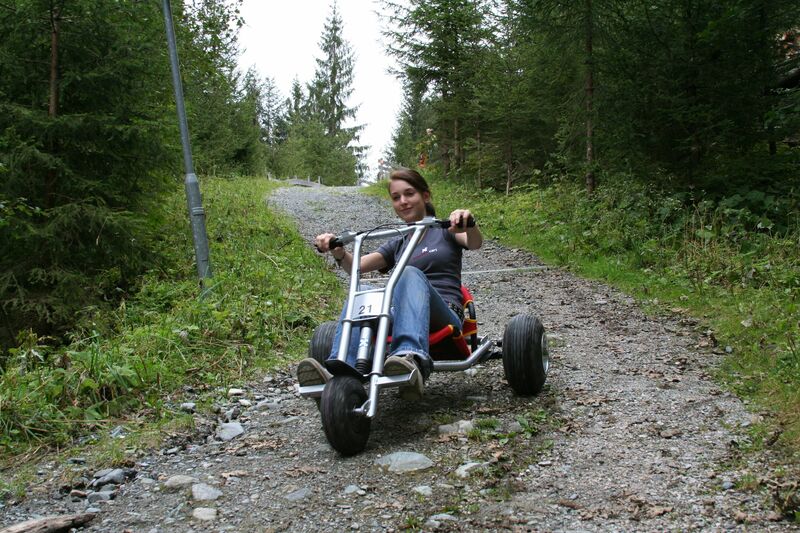 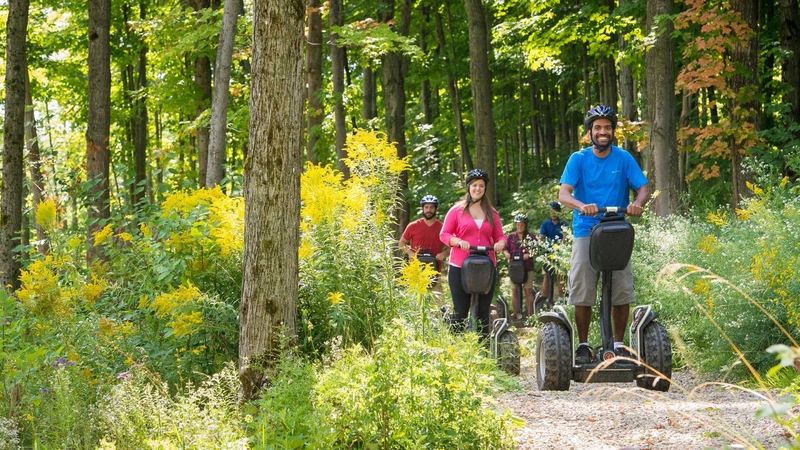 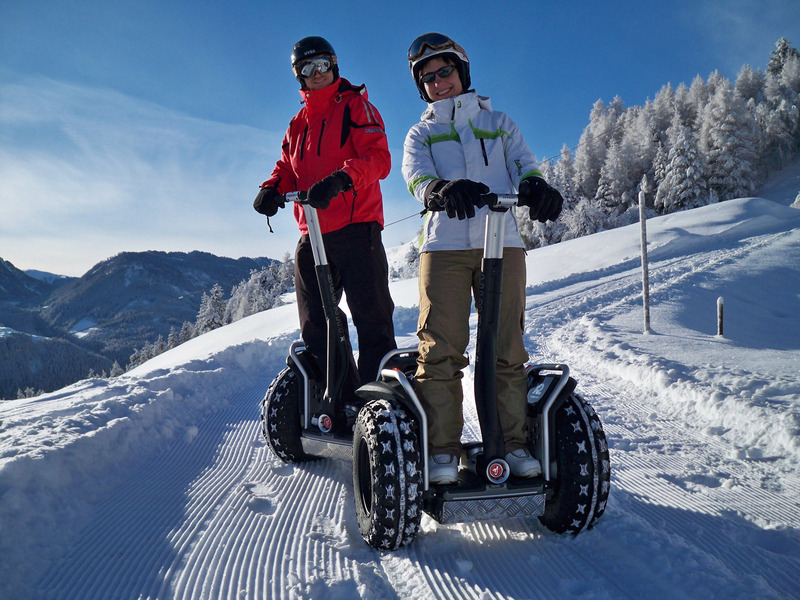 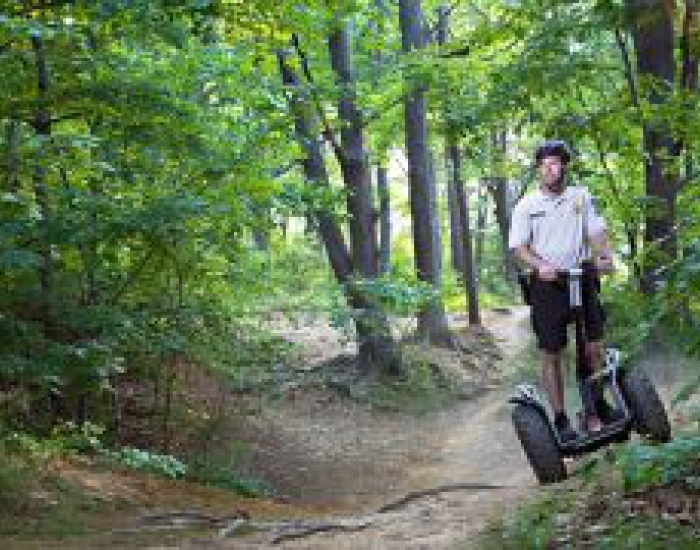 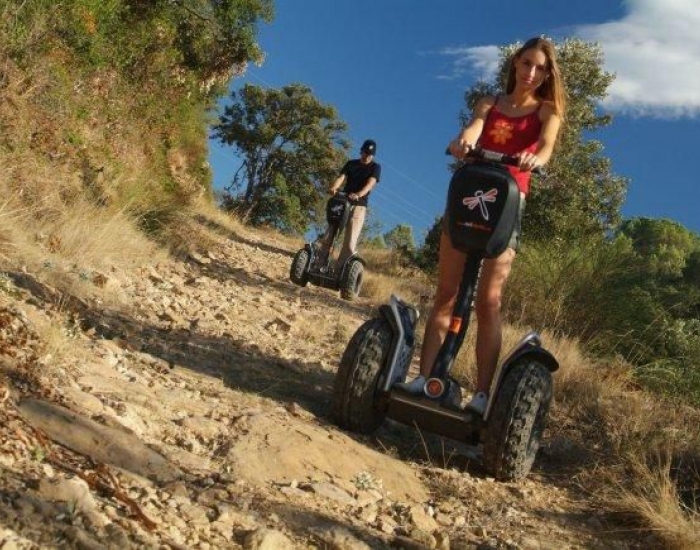 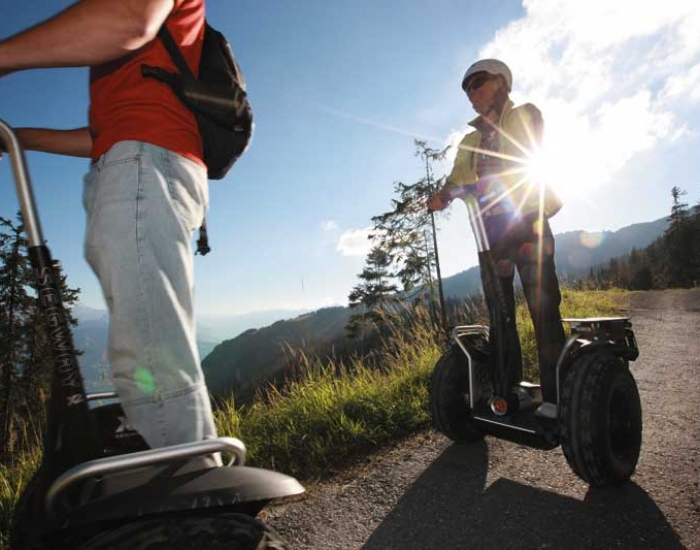 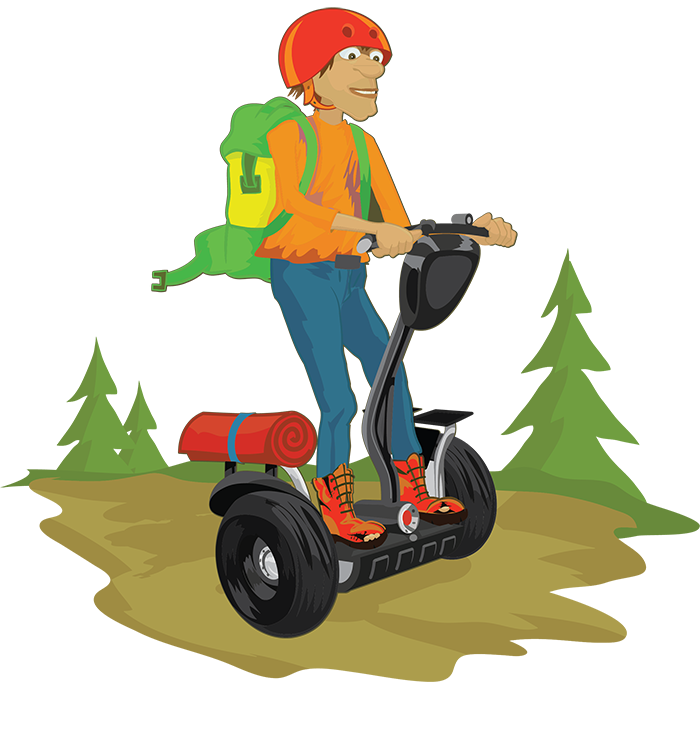 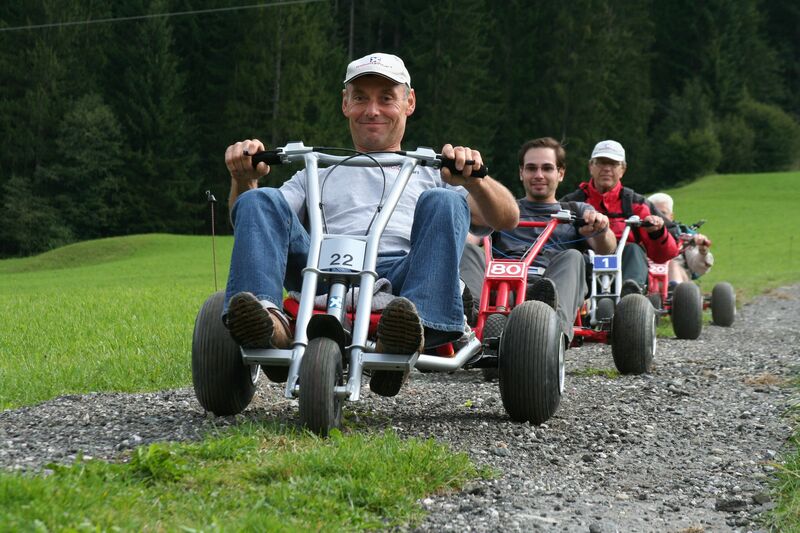 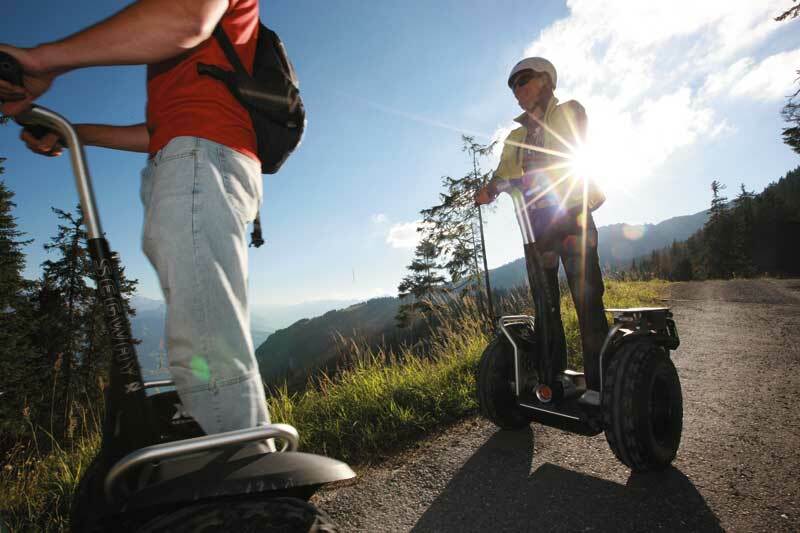 We are the first Segway park in Transylvania but of course we can also offer many other programs, for example: Mountaincart, Via Ferrata, BIG AIR BAG and organized tours to the Harghita Mădăraș mountains. 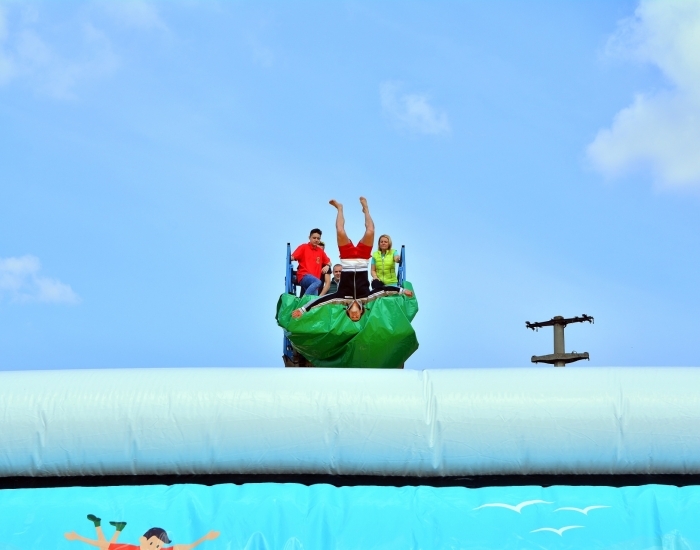 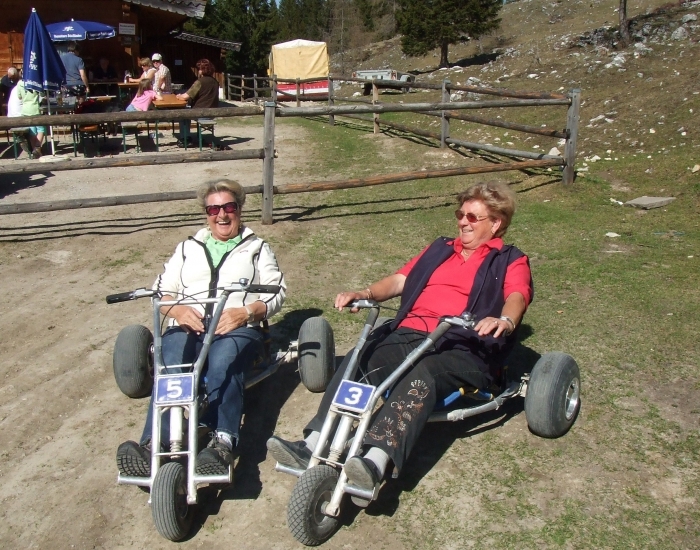 Our experts take care of the visitors’ entertainment. 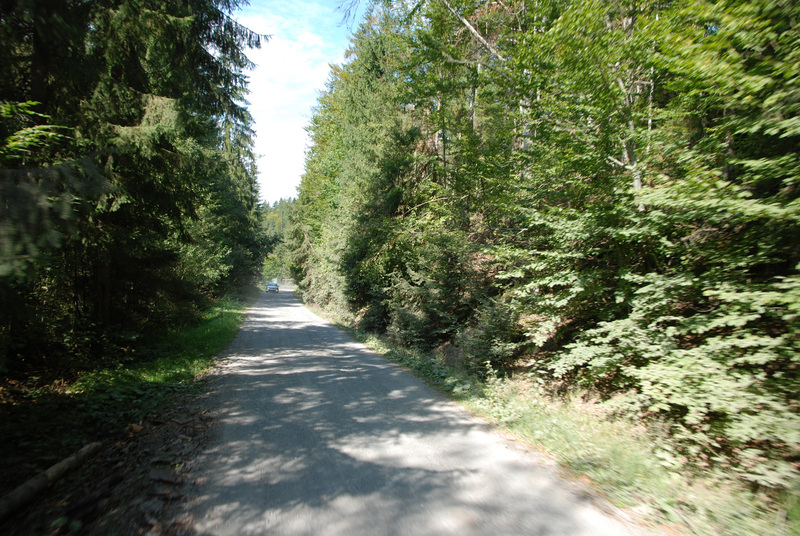 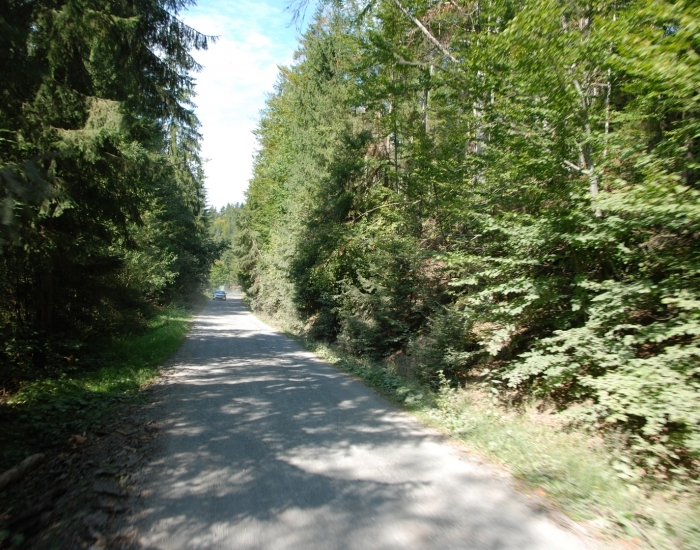 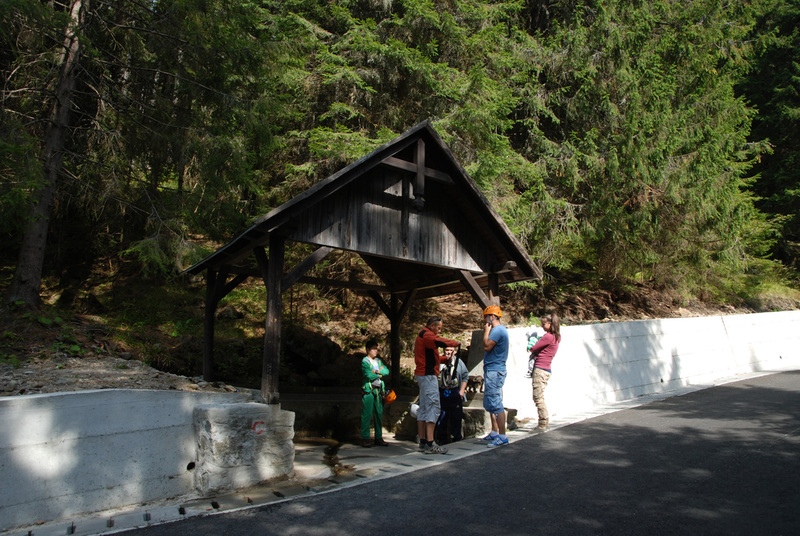 Izvoare is at a distance of 25 km from Odorheiu Secuiesc and it is situated under the pine woods and heights of the Harghita Mădăraș mountains. 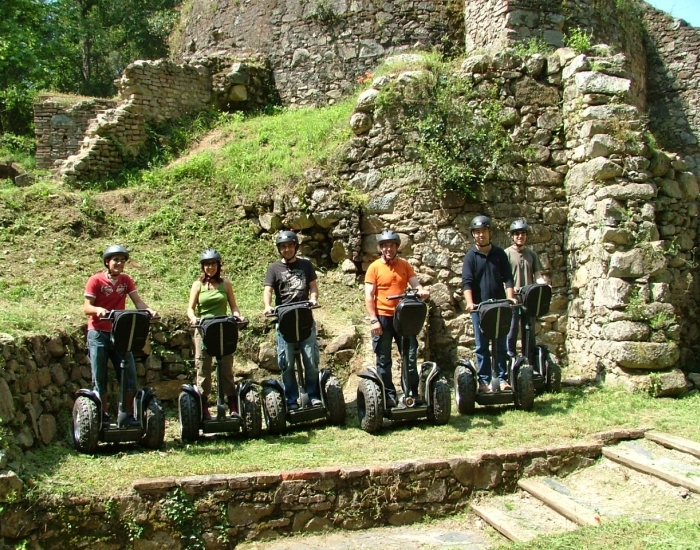 This region shows us its attractiveness, beauty, values and treasures. 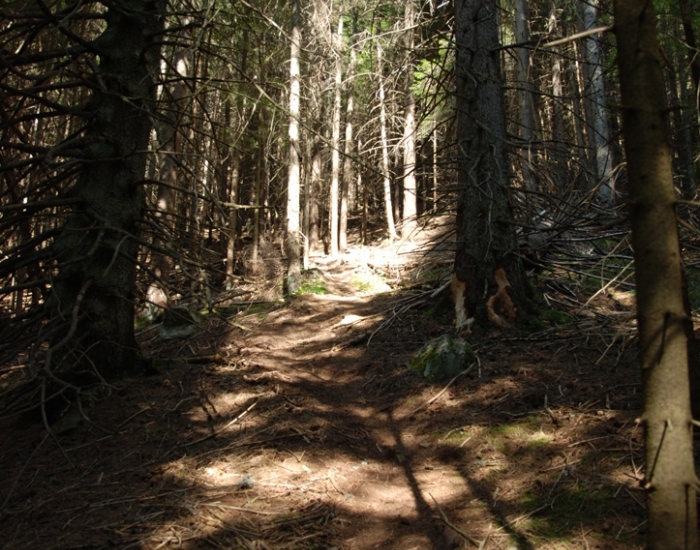 Maybe there is no other place in Europe where the landscape determines this much the structure of the locality and people’s way of thinking. 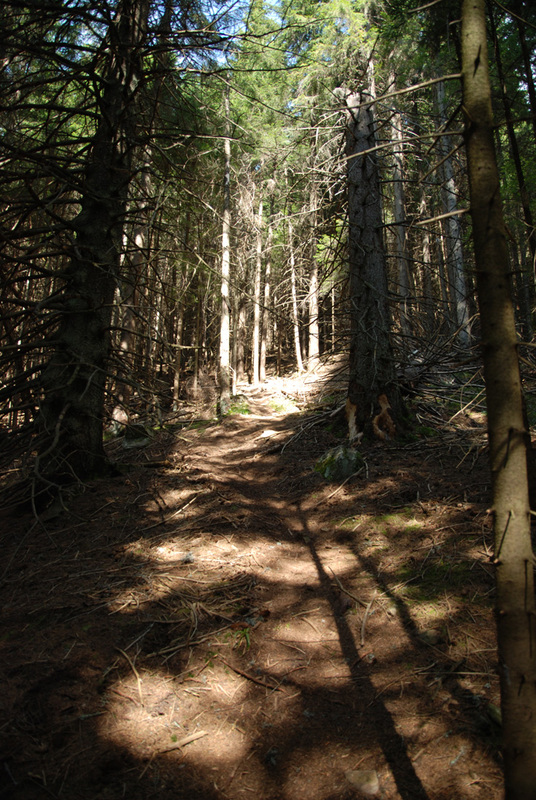 Over the decades the landscape has formed everything according to its wish. 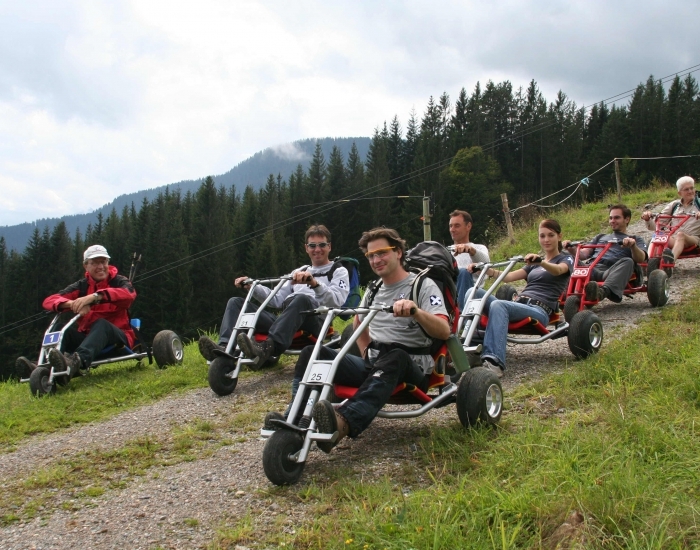 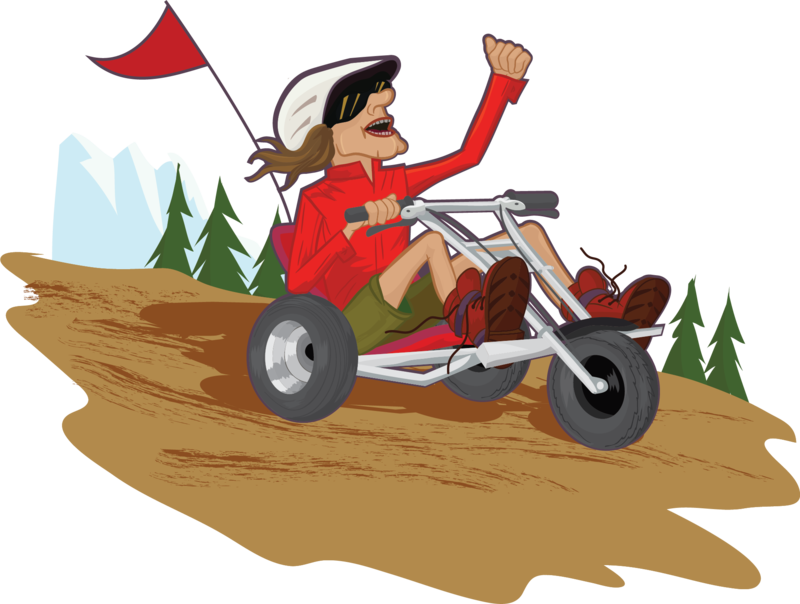 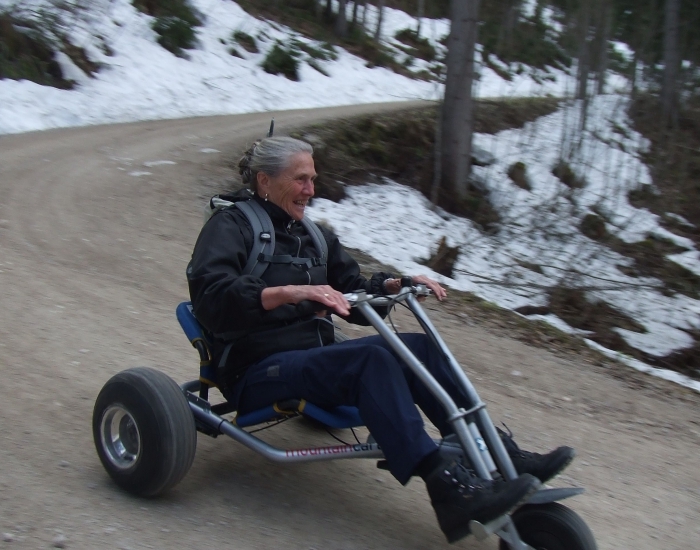 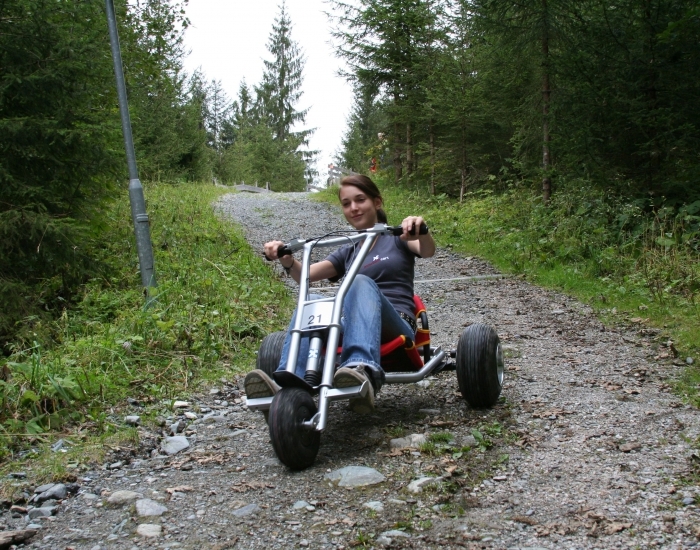 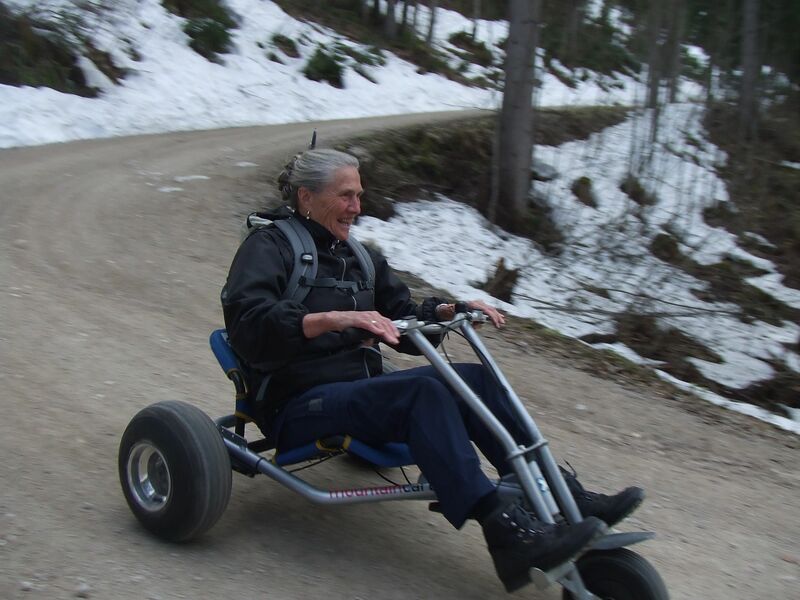 Mountaincart is a newly developed and funny vehicle that makes it possible to sledge all year, no matter if there is snow or not. 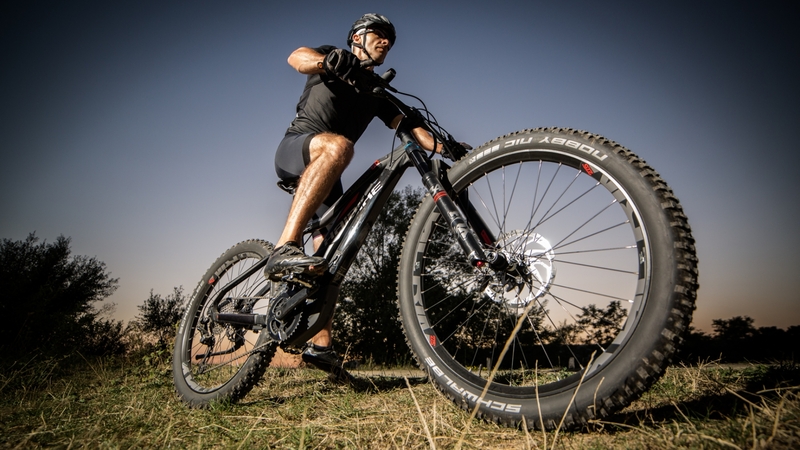 The ergonomic seat makes it possible to focus only on enjoying the speed. 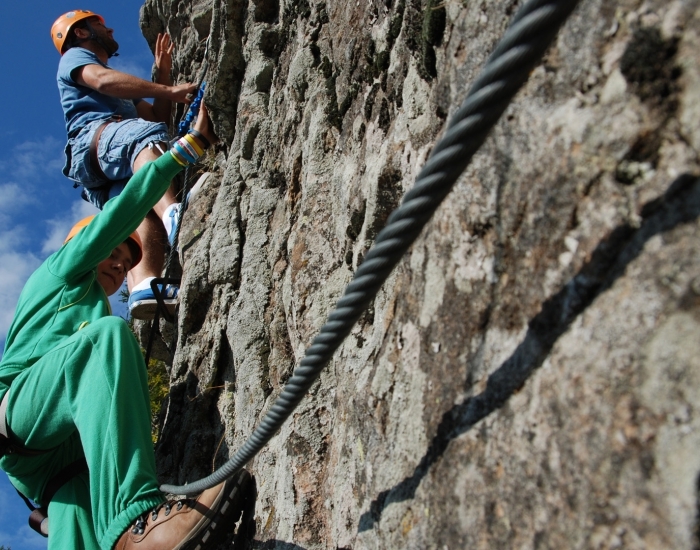 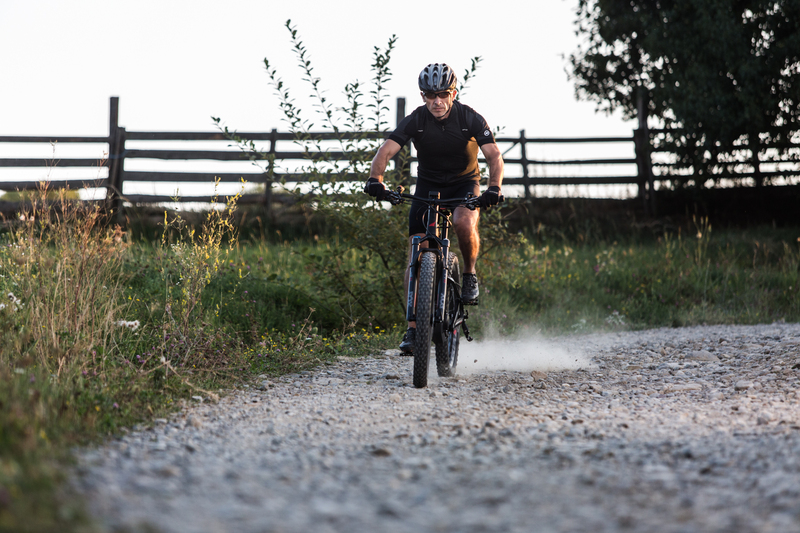 The newly created „Kecskevész”climbing path in the Harghita Mădăraș mountains is the first climbing path of this type in the region. 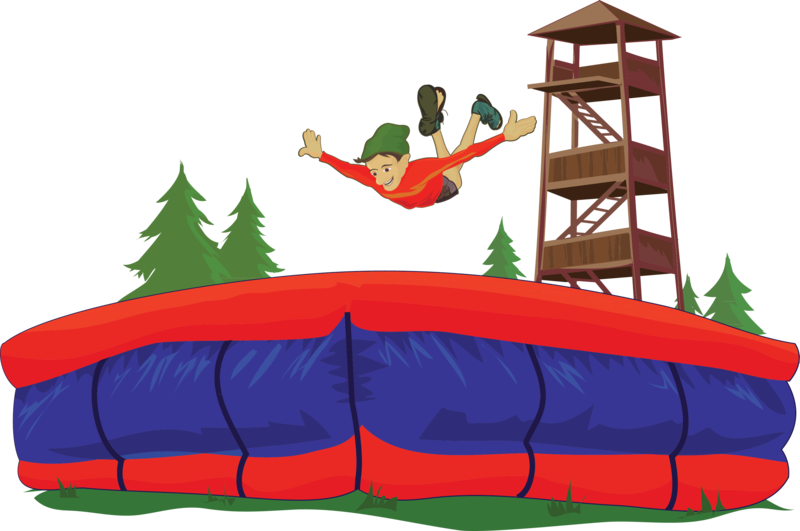 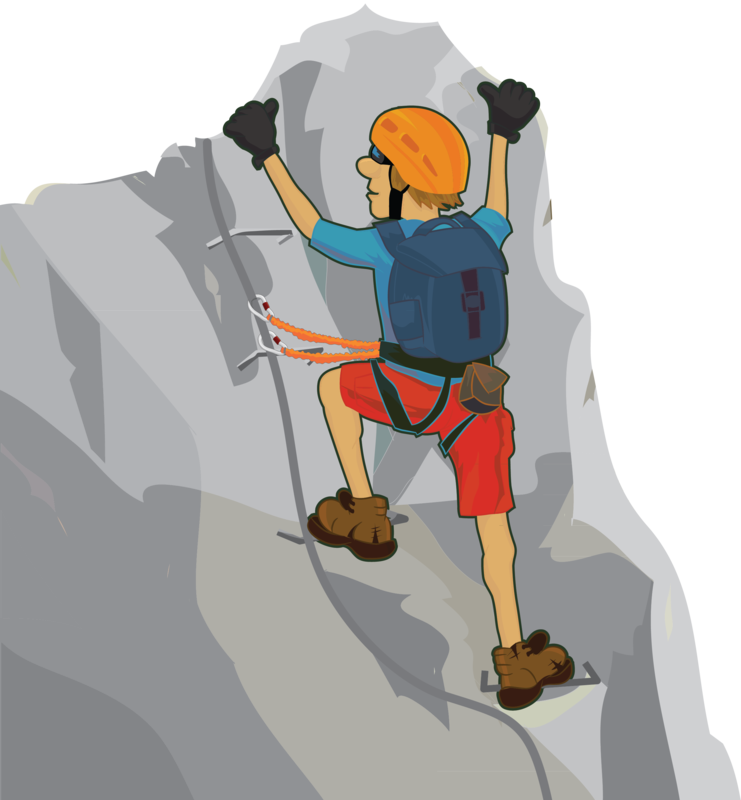 This can be used by anyone free of charge but an adequate climbing equipment is obligatory. 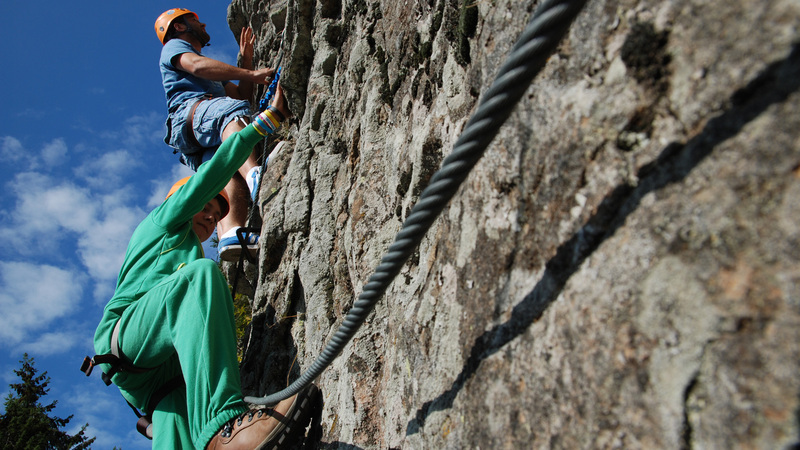 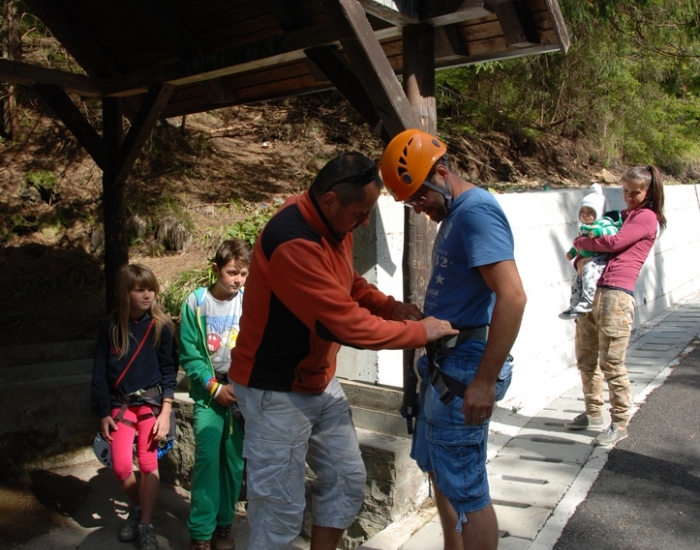 For conquering Via ferrata we can offer you complete equipment (helmet, harness, lunge) and a guide! 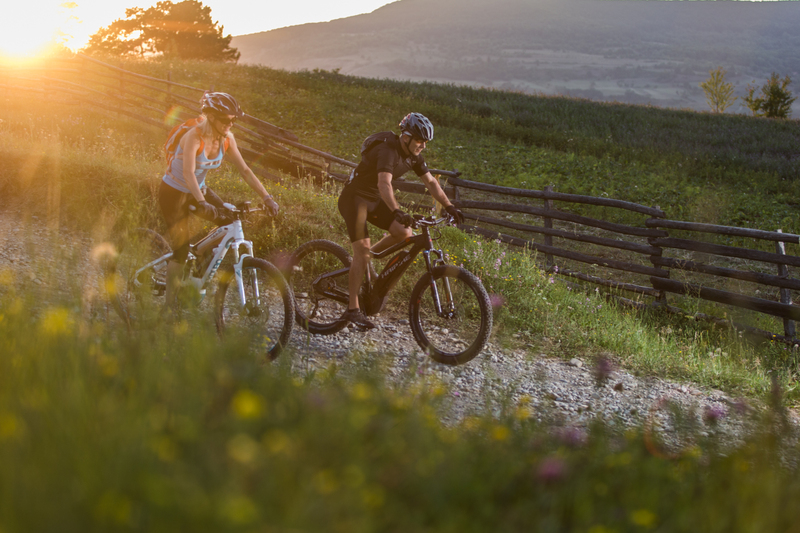 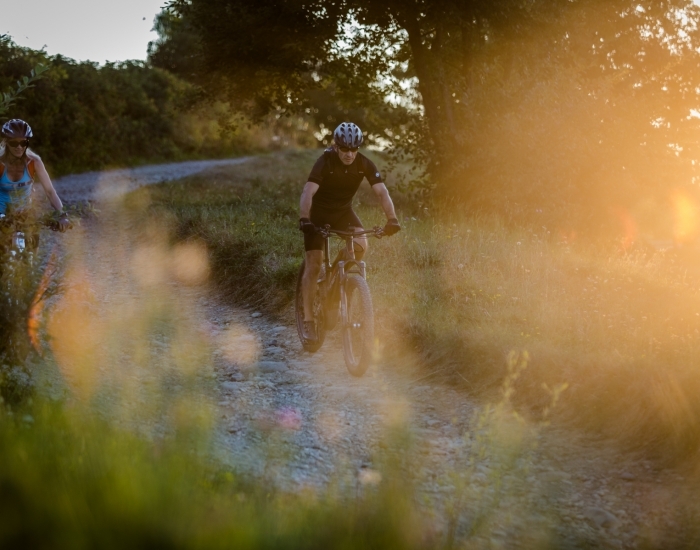 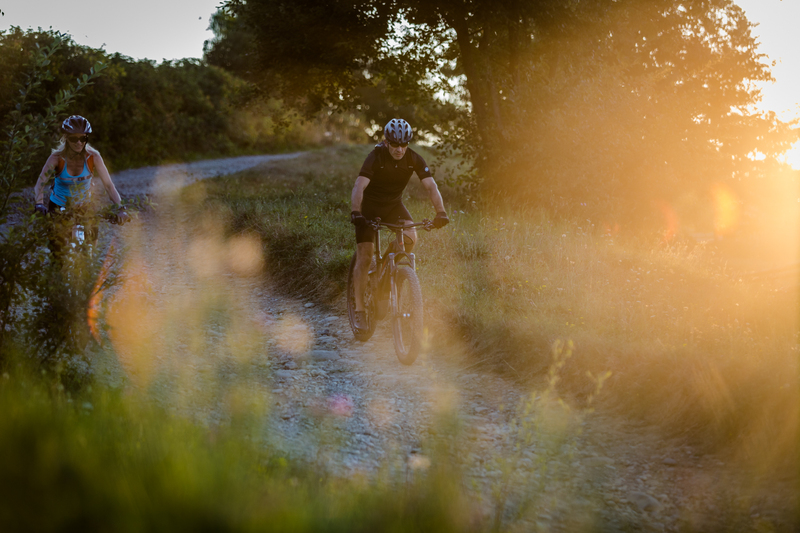 We organize cycling tours with premium pedelec bicycles offered by us. 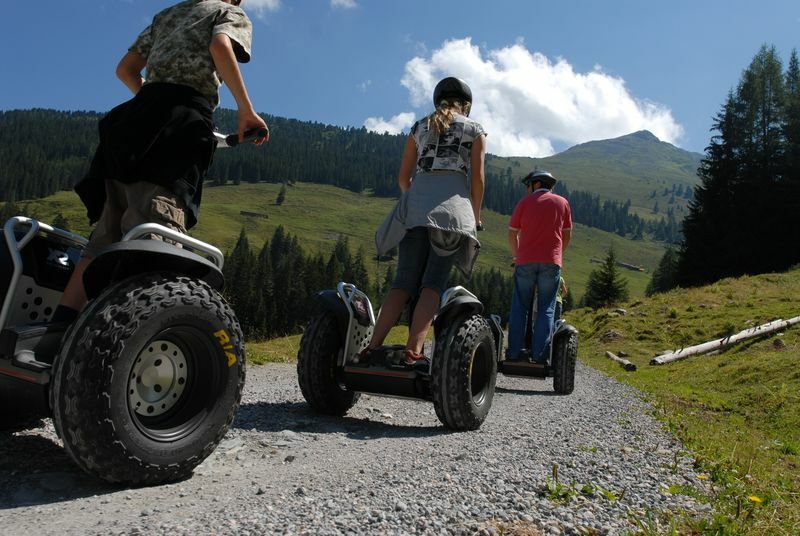 We appreciate nature, travel and sports. 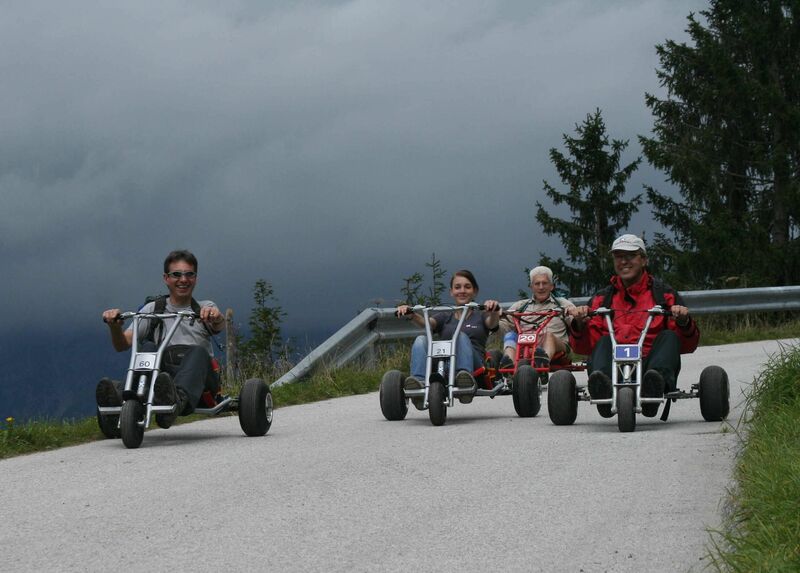 Our aim is to present our tourists the joy of cycling. 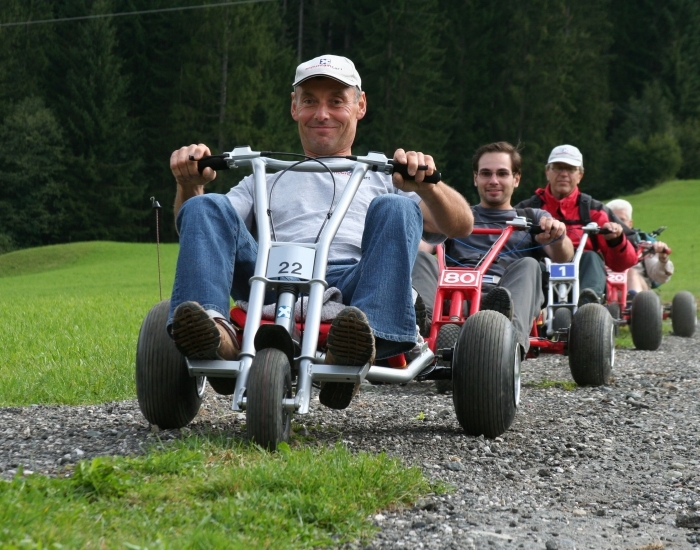 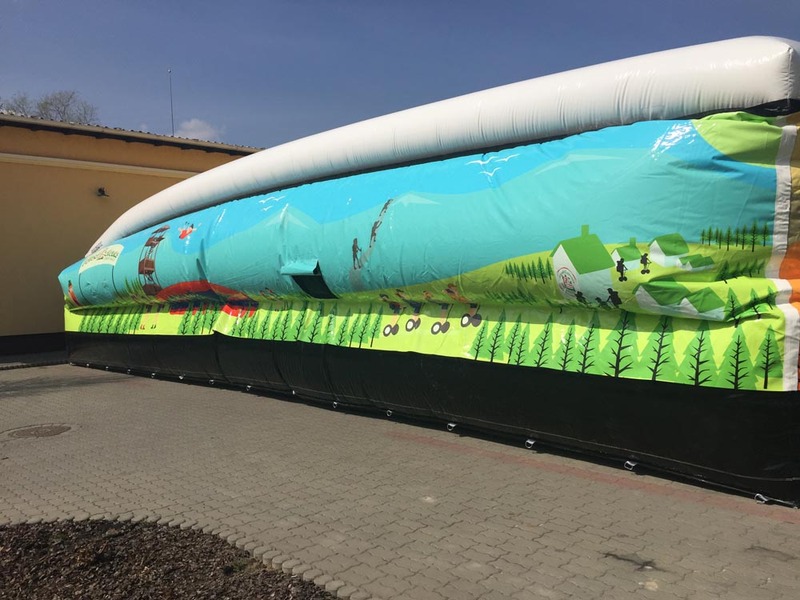 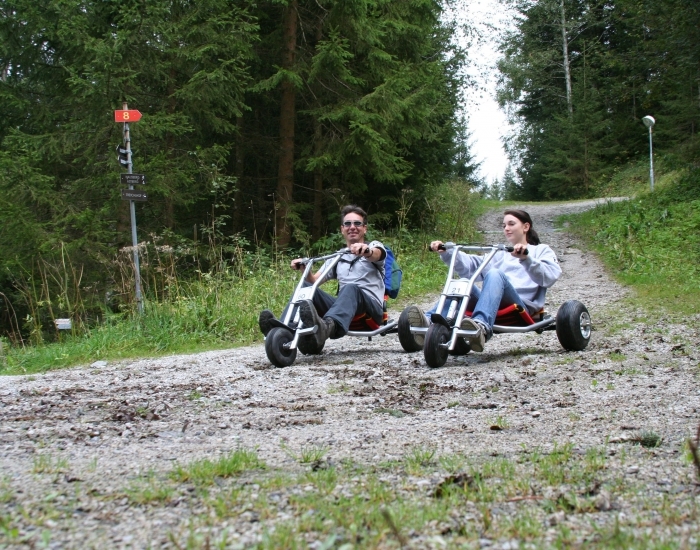 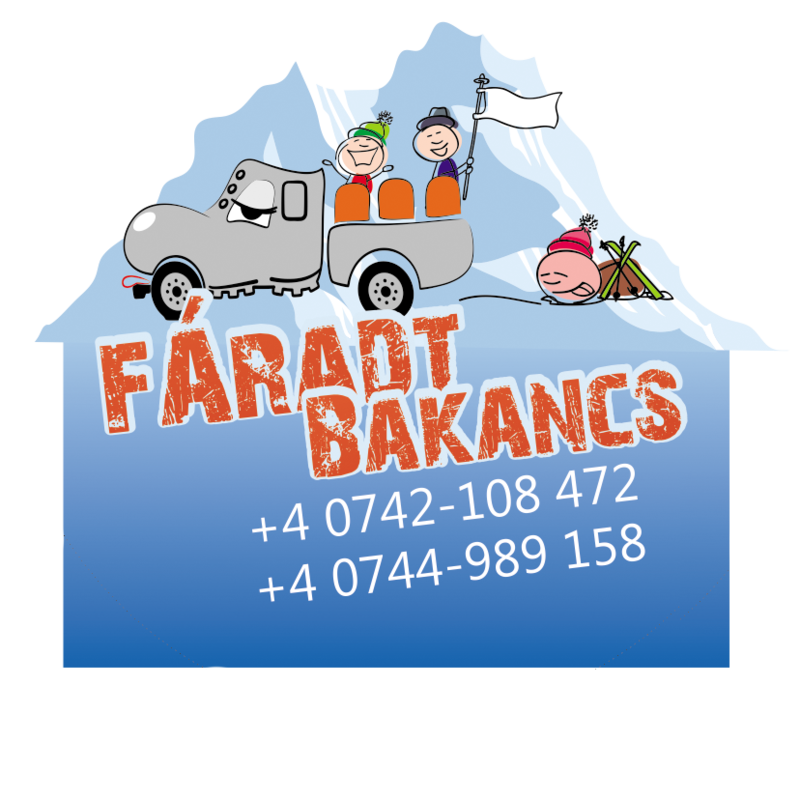 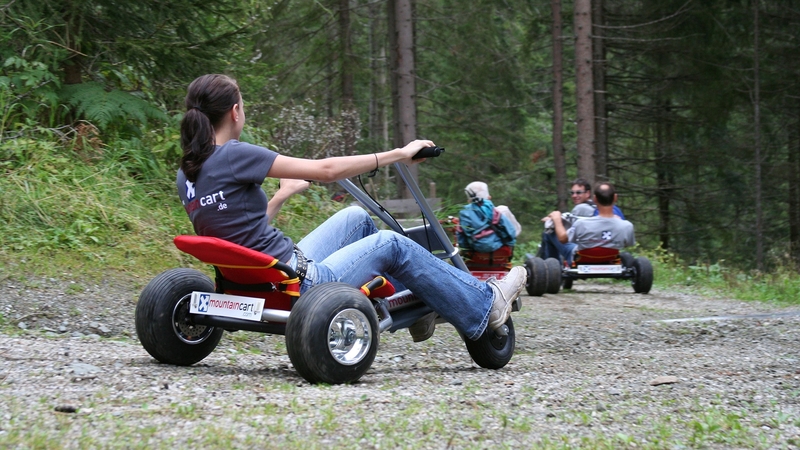 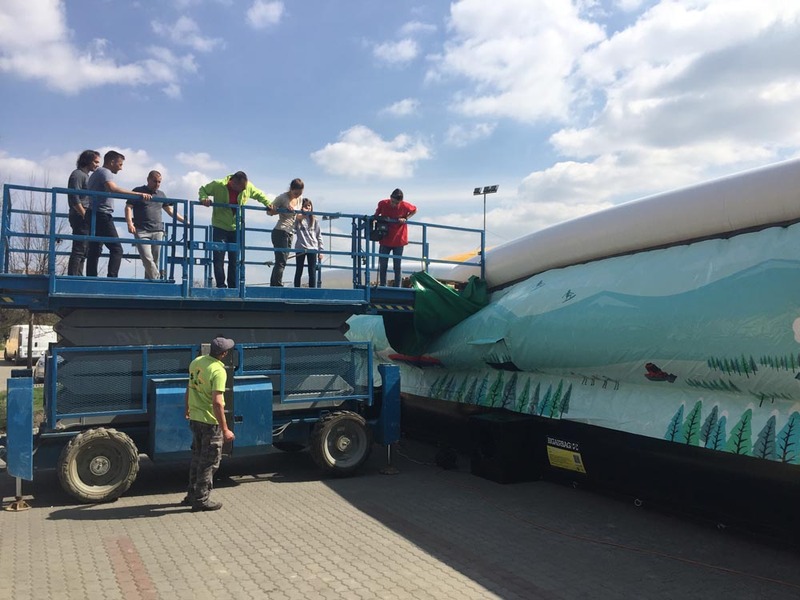 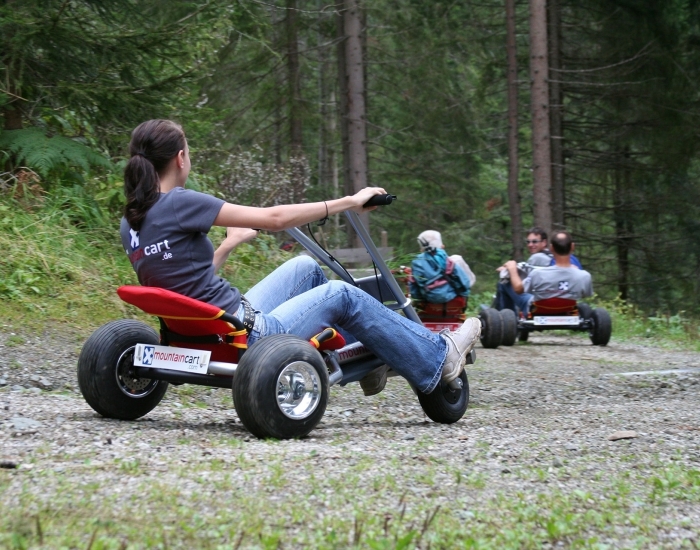 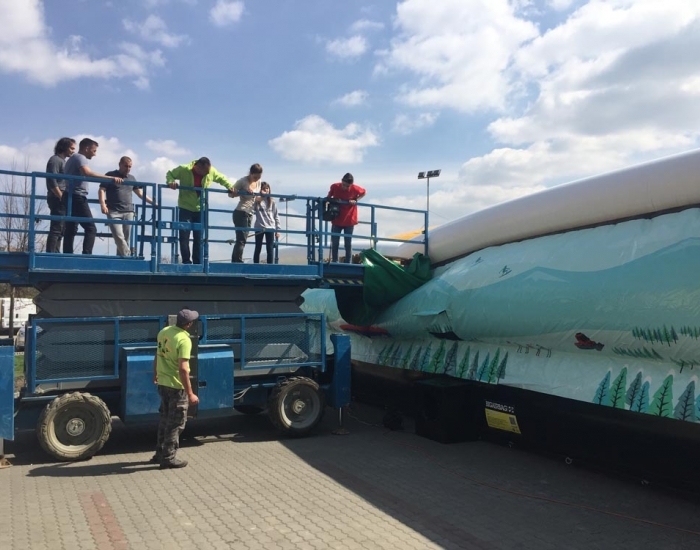 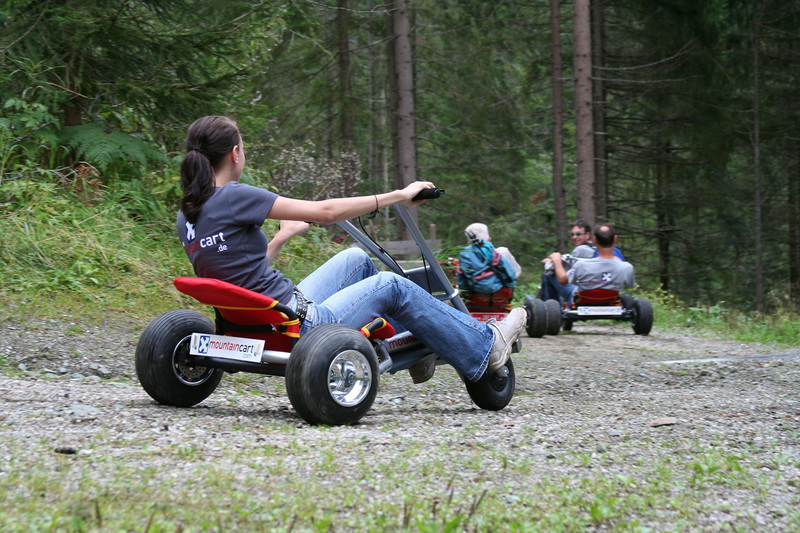 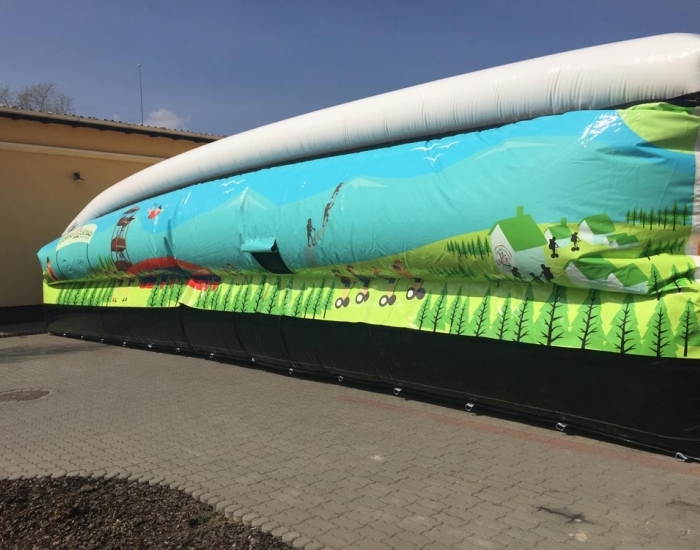 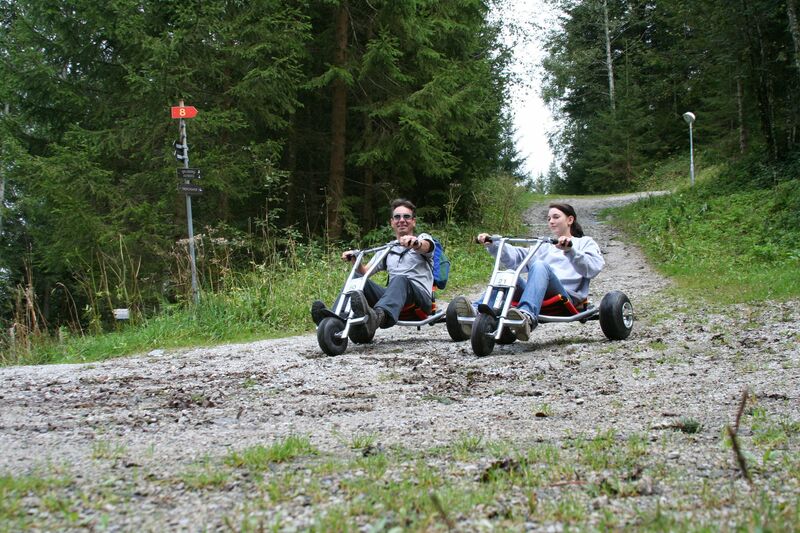 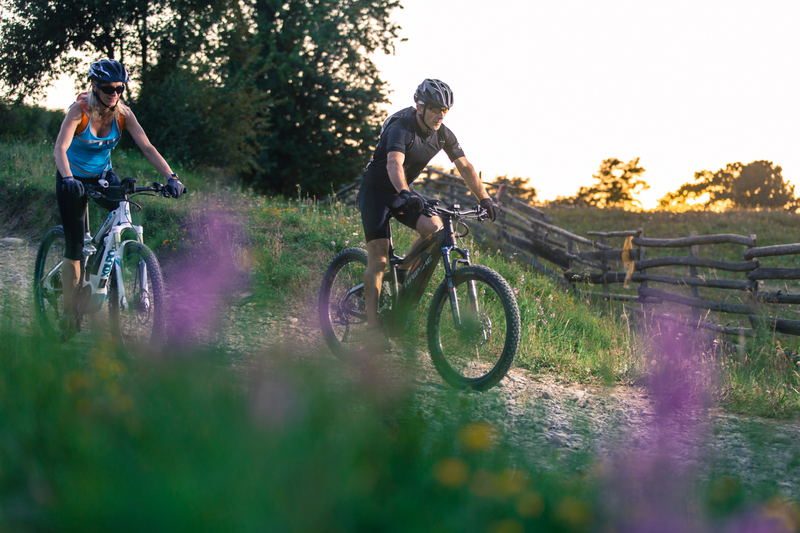 The tour starts from the „Fáradt Bakancs” adventure park. 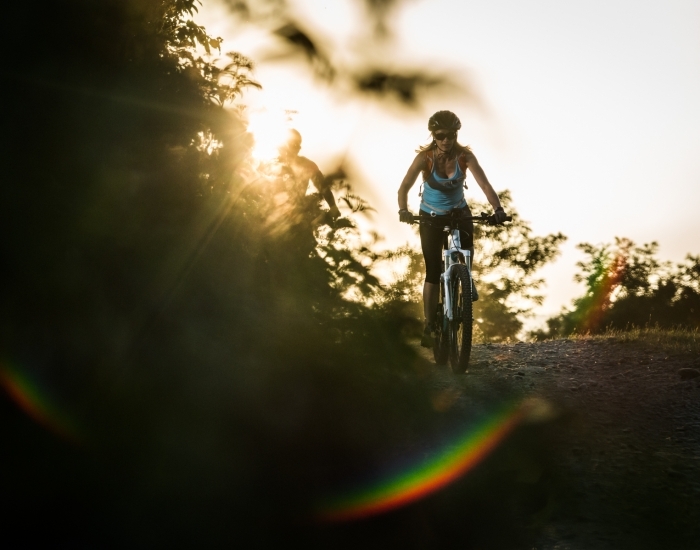 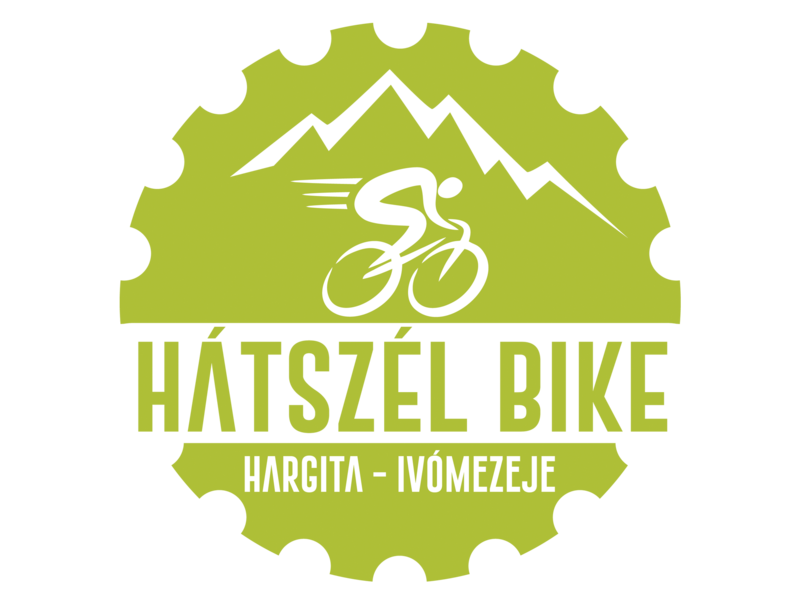 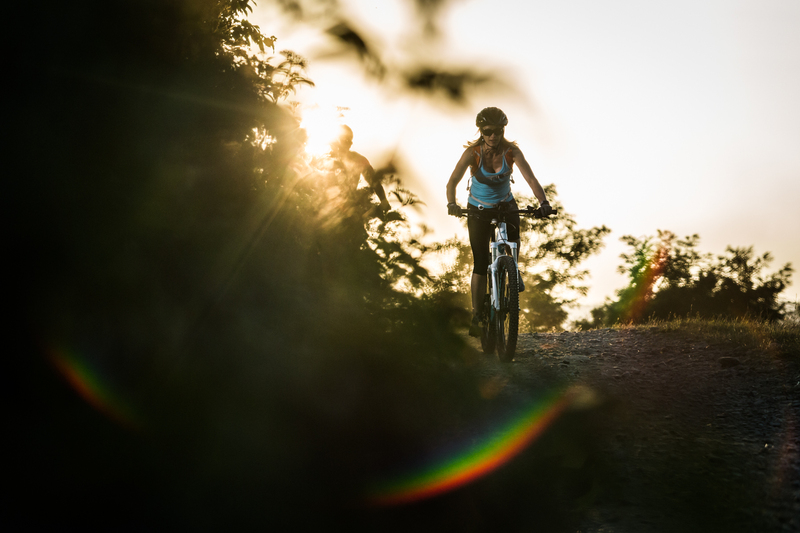 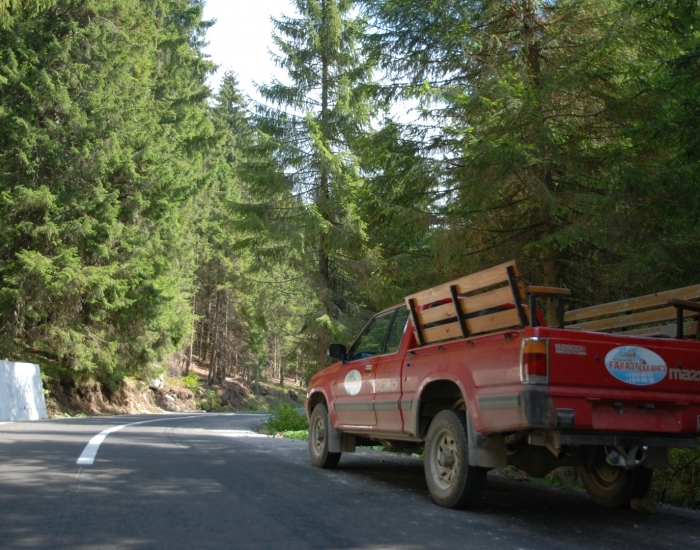 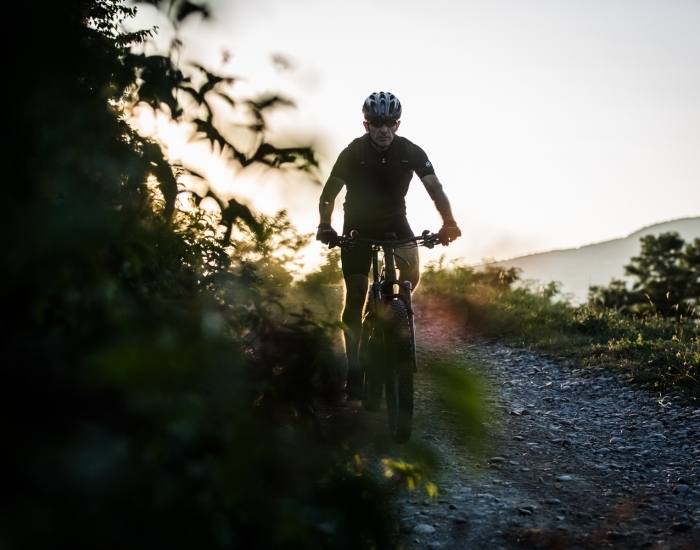 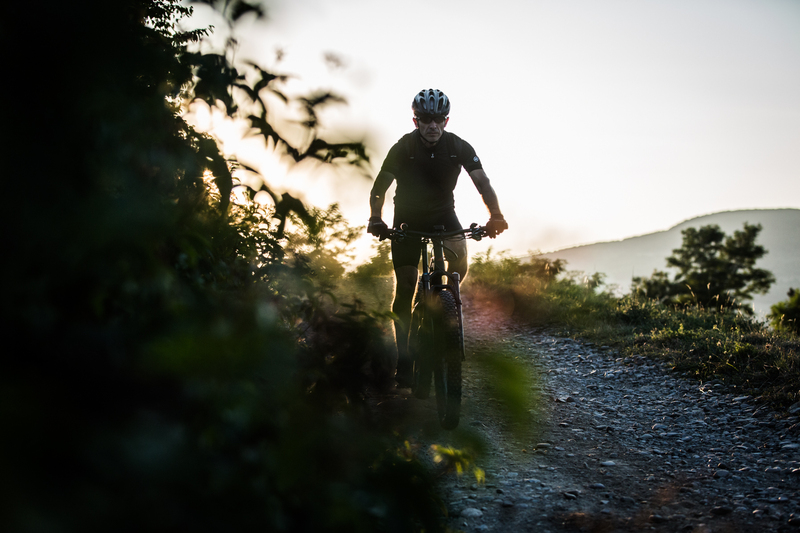 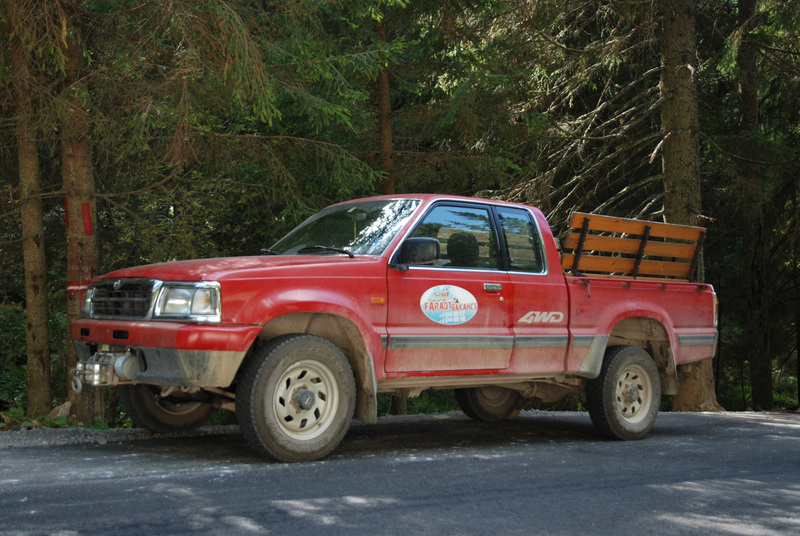 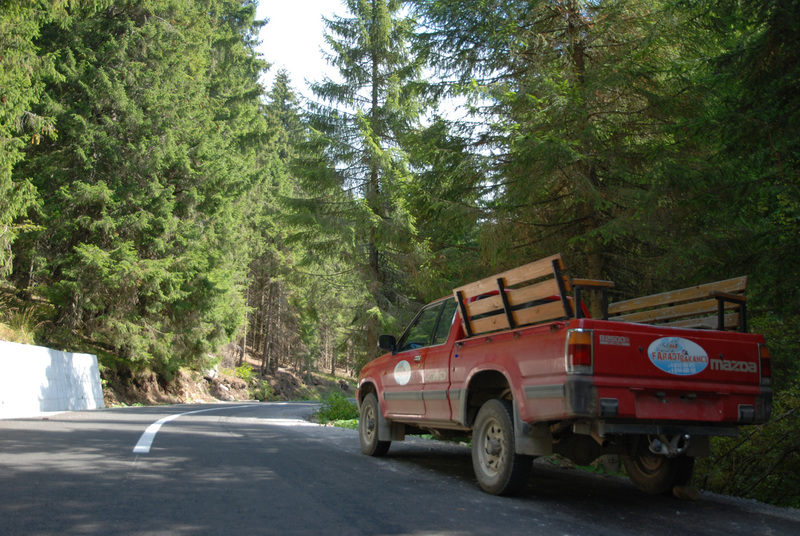 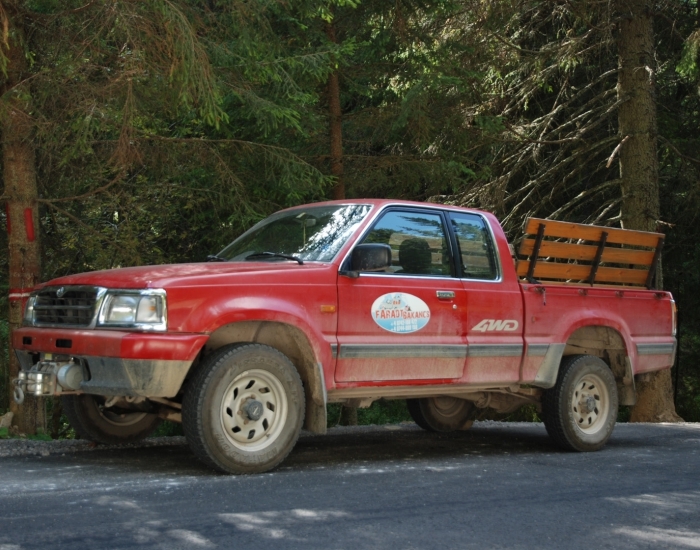 During the adventure the participants get on the highest accessible top of the Harghita mountains by a jeep, crossing the beautiful woods of Izvoare. 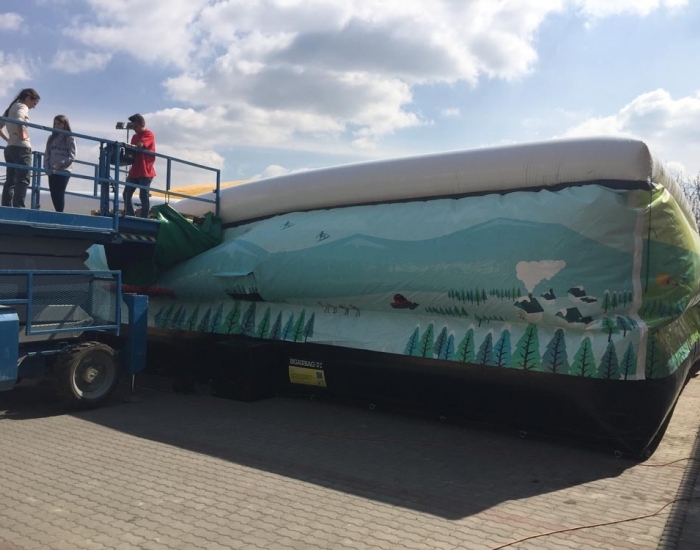 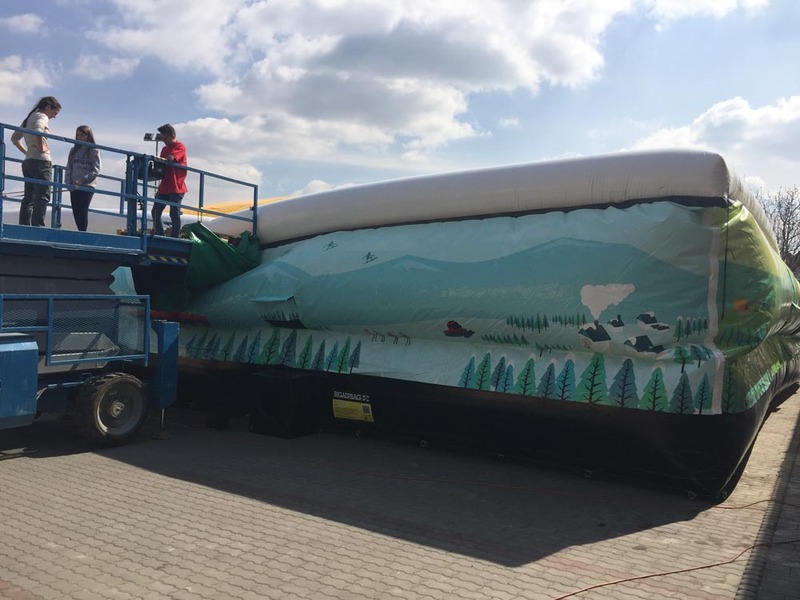 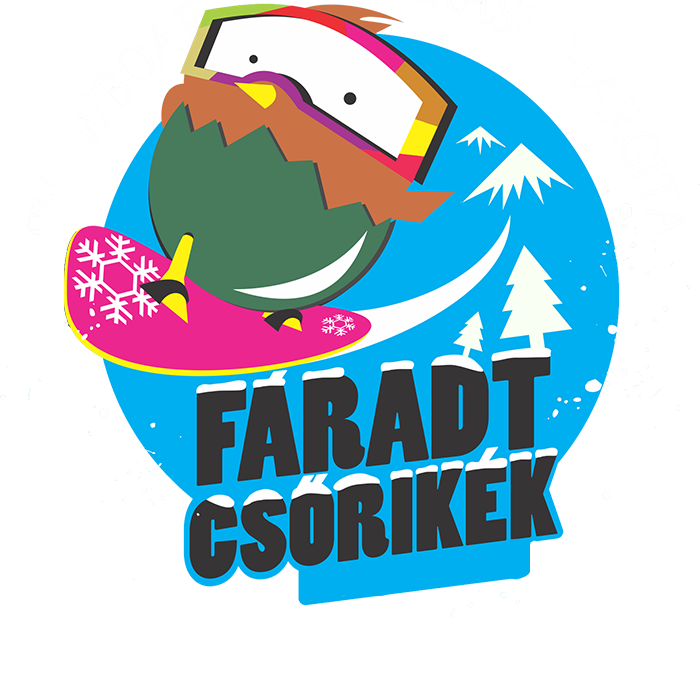 „Fáradt Csőrikék” is a snowboard course that has been organized for many years. Anyone can participate in this course. 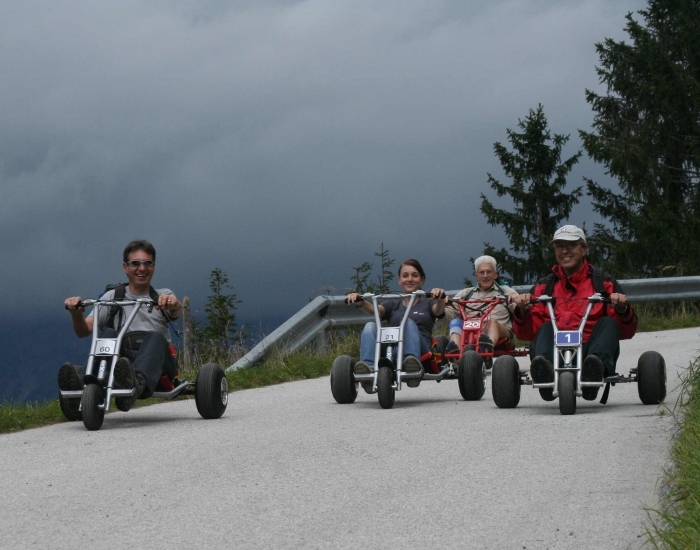 The program is recommended for people over 10 years. 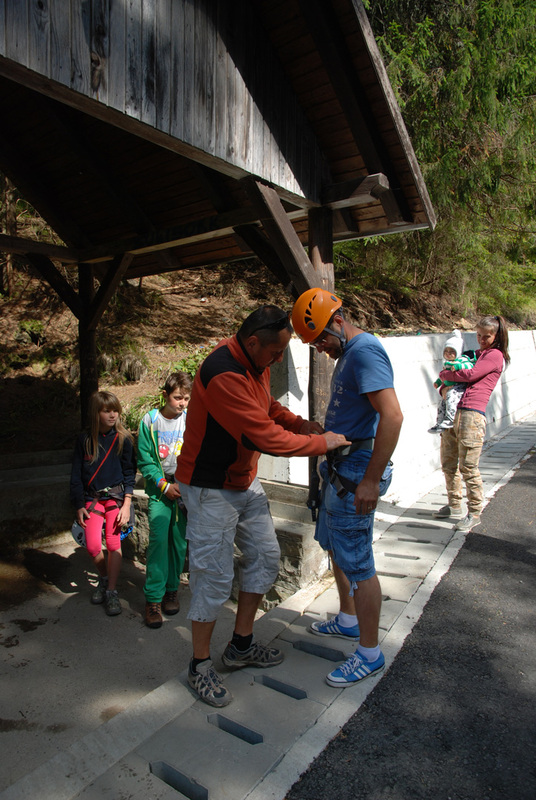 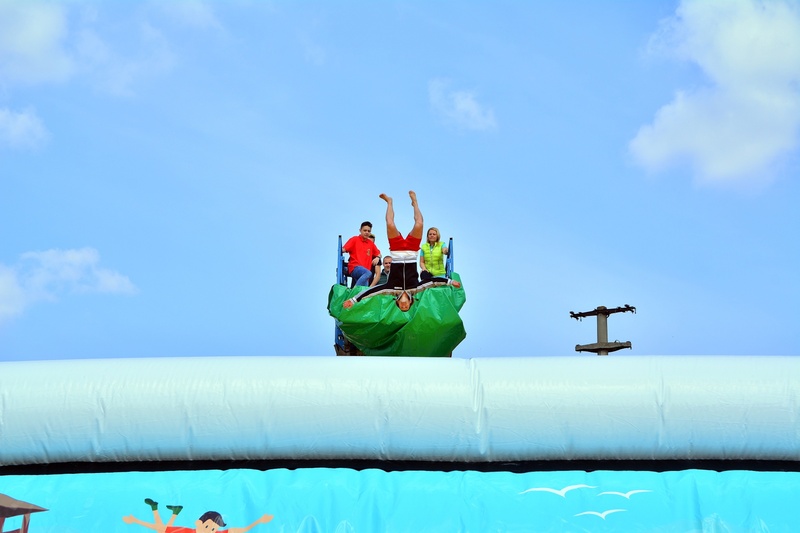 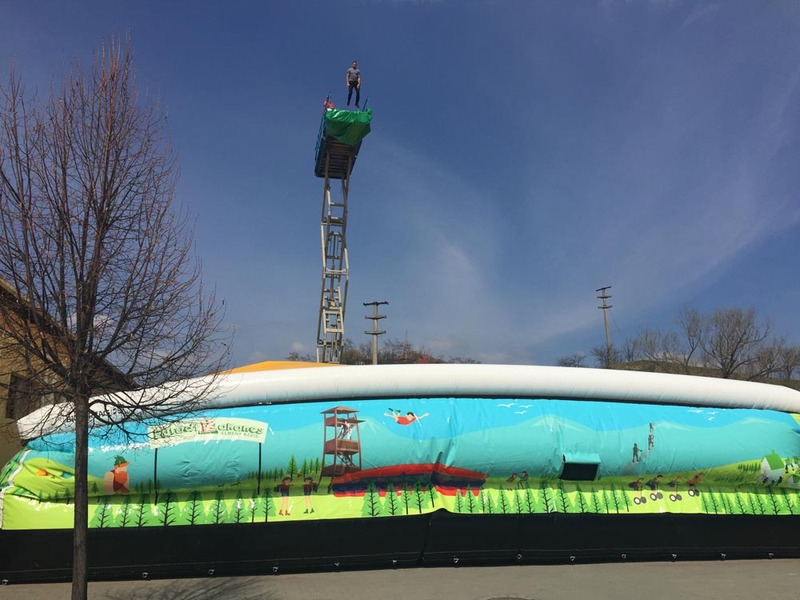 Our park offers: authorized and professional instructors. Our program is recommended both for beginners and advanced snowboarders.